Before getting into this week’s post, can I thank everyone who commented and e-mailed following last Sunday’s post on the 5th anniversary of the blog. Your feedback is really appreciated. There are a number of then and now photos that I find sum up the changes to an area. 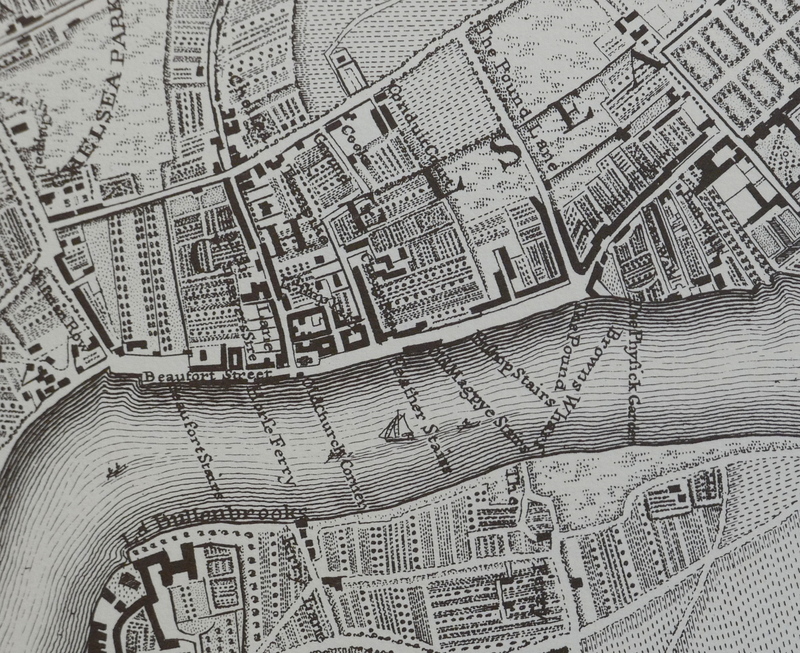 A few years ago I wrote a post about the location of the Gun Tavern in Wapping. My father photographed the post war ruins of the old pub. 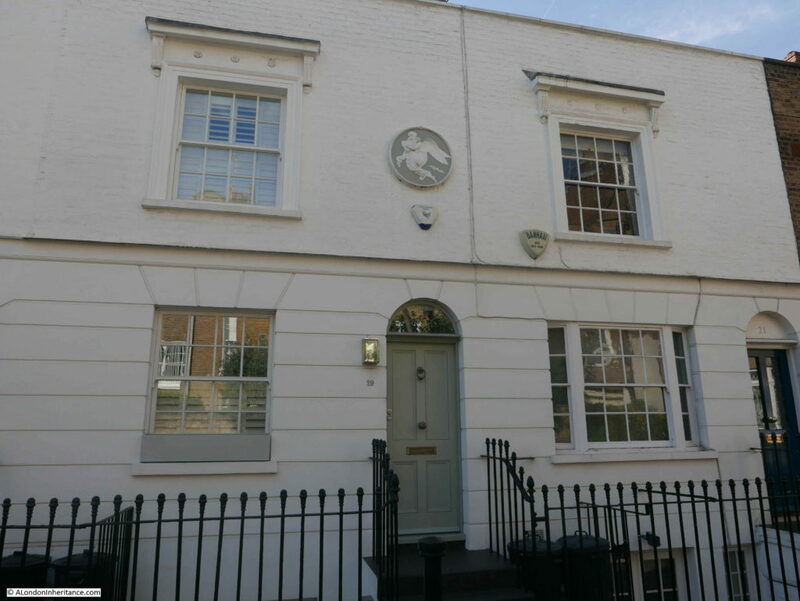 Today, the same location is occupied by a Foxton’s estate agent. 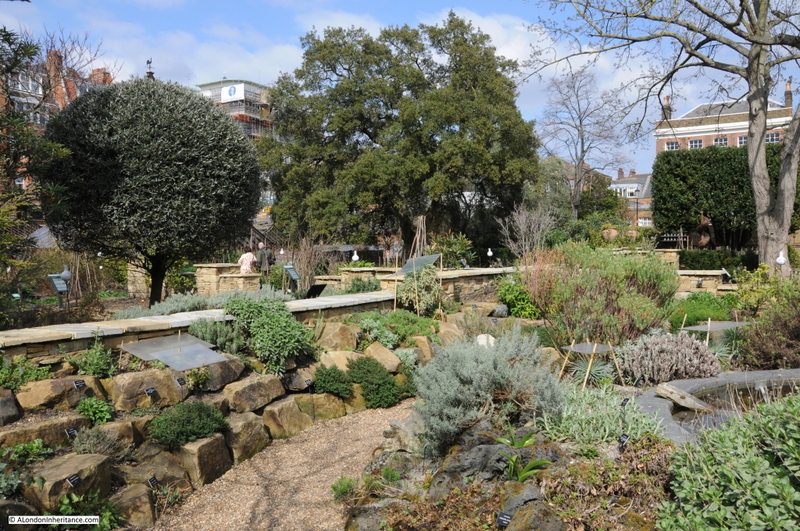 For today’s post I have another pair of photos that sum up how an area has changed. 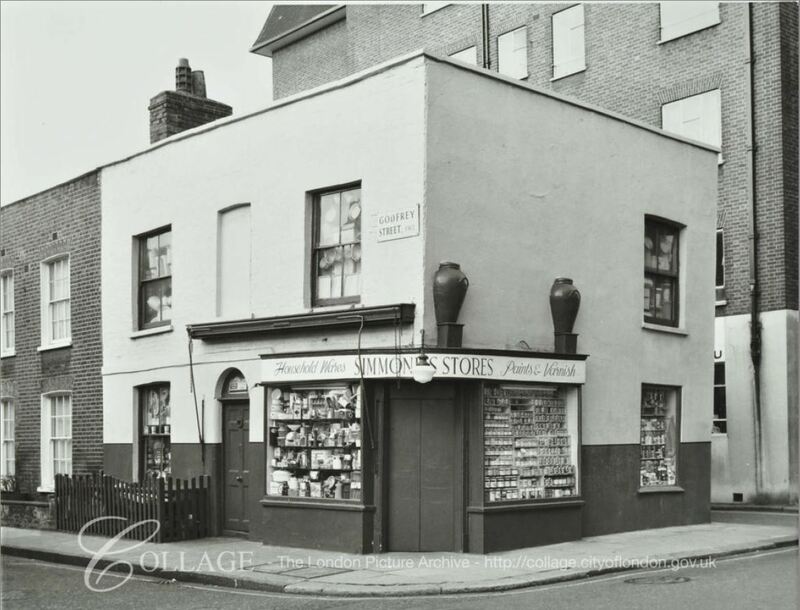 This time I am in Chelsea, and this is Simmonds Stores, on the corner of Godfrey Street and Cale Street. The photograph was taken in 1986. 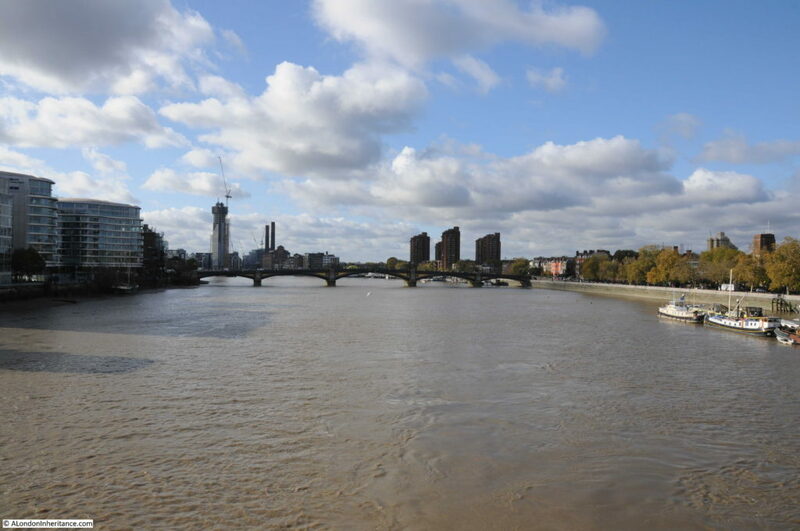 The two photos typify how the area has changed. 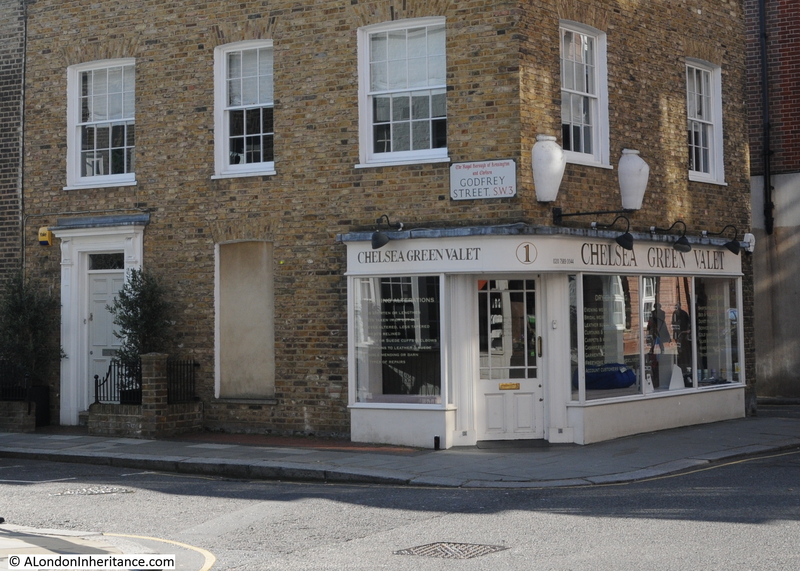 A corner shop that once sold household wares, piled high outside the shop to tempt passers-by, is now the Chelsea Green Valet. 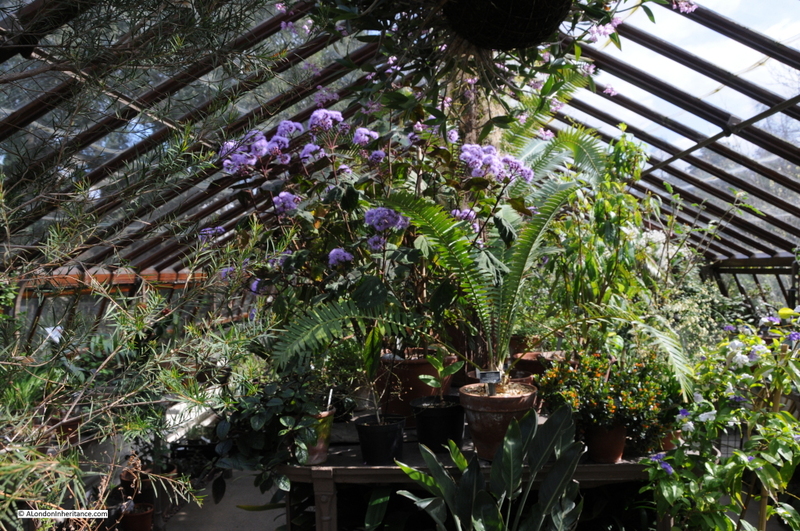 It is not just the shop that has changed, the building has been “restored”, although some of the changes attempt to replicate original features which were not part of the building’s design. 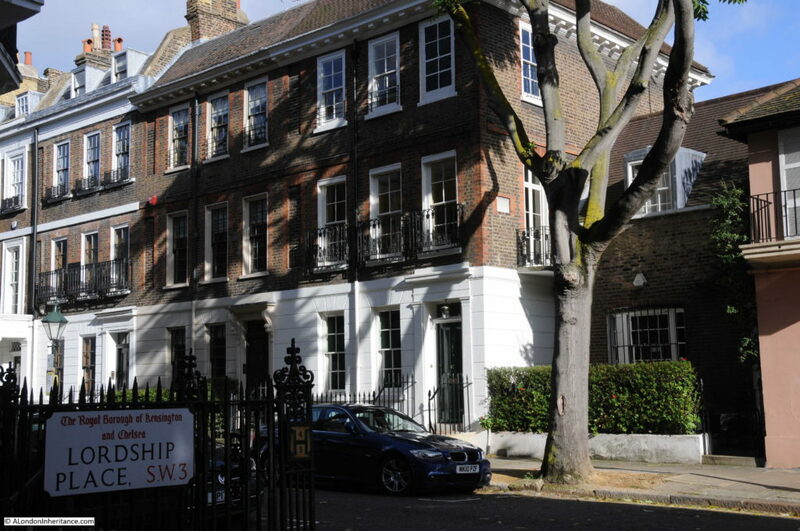 An example being the new door on the left of the building which replaces an original window. 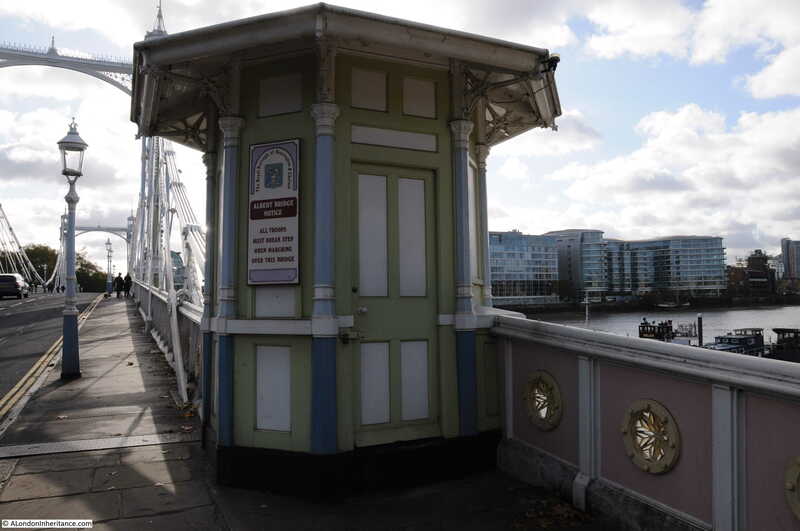 The use of a door surround that attempts to give the door an original appearance was part of the work to bring the building to its current appearance. The building of Godfrey Street dates from the 19th century. 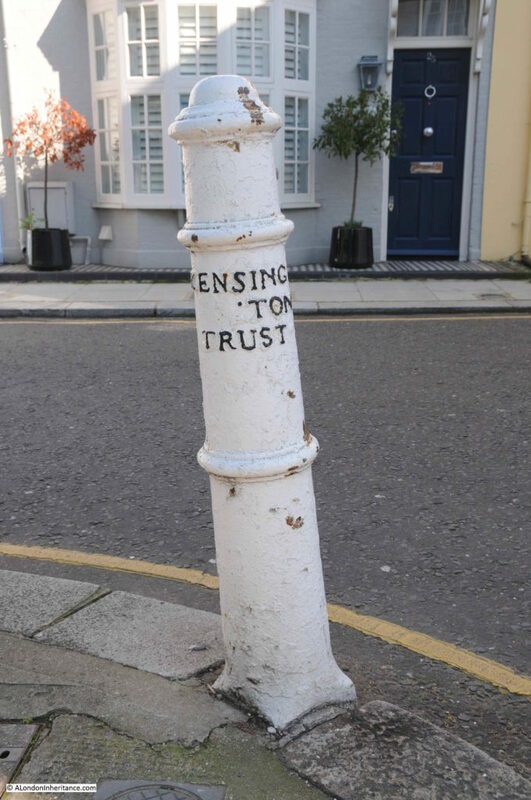 The first newspaper reference I have found to the street was from 1830 which implies the street was developed in the first decades of the 19th century. 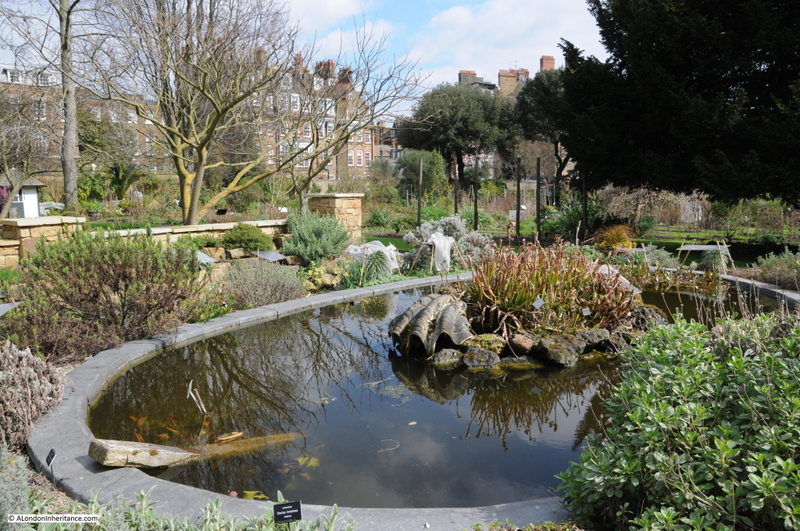 The name probably comes from Walter Godfrey who was a landowner in Chelsea during the 18th century. The corner store probably dates to the original construction of the street. 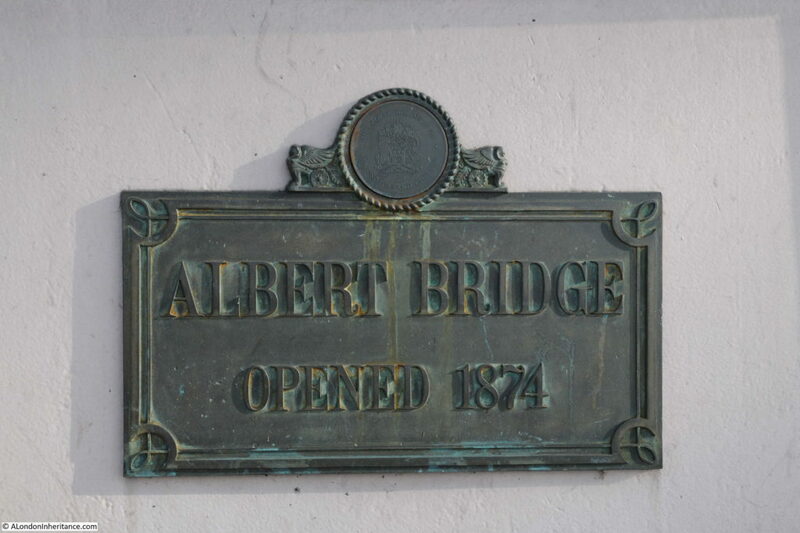 The 1891 Kelly’s Directory records that Albert Simmonds, Oilman was in residence, and it is this reference that provides a clue to the early function of the store and the large jars that are still mounted on the side of the building. 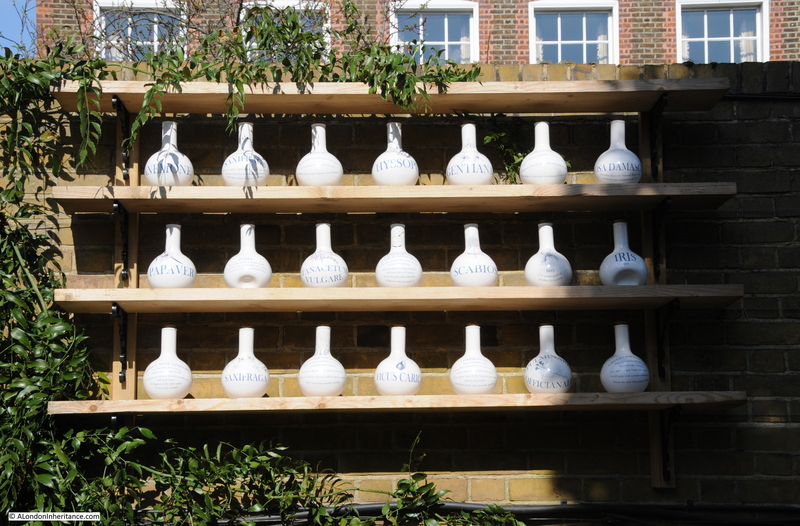 These represented Tuscan oil jars and indicated that oil was sold in the store. 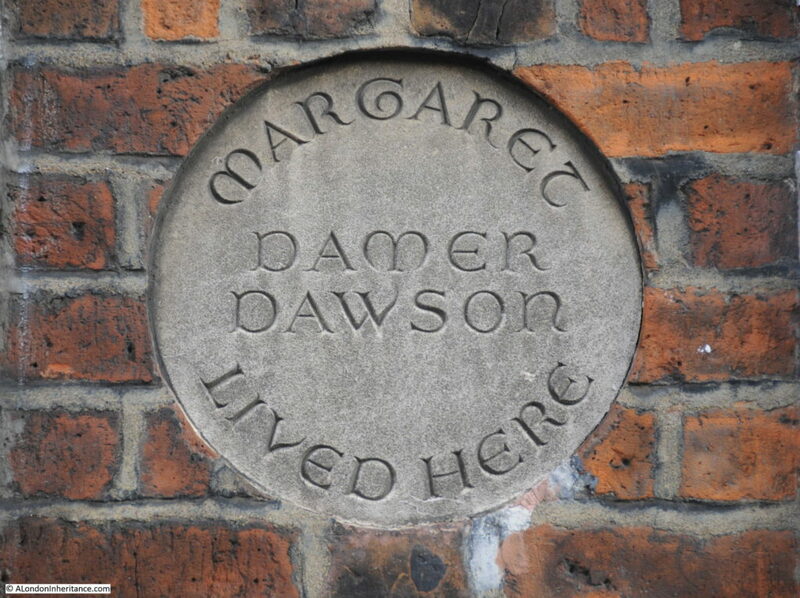 There is another example to be found in my post on Lower Marsh in Lambeth. The 1891 census provides some additional information on Albert Simmonds. 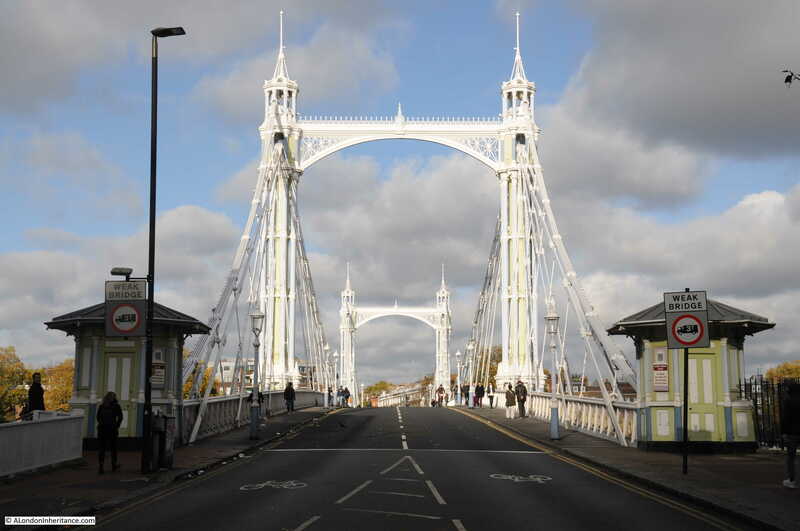 He was aged 30 and was born in Shipton, Oxfordshire. 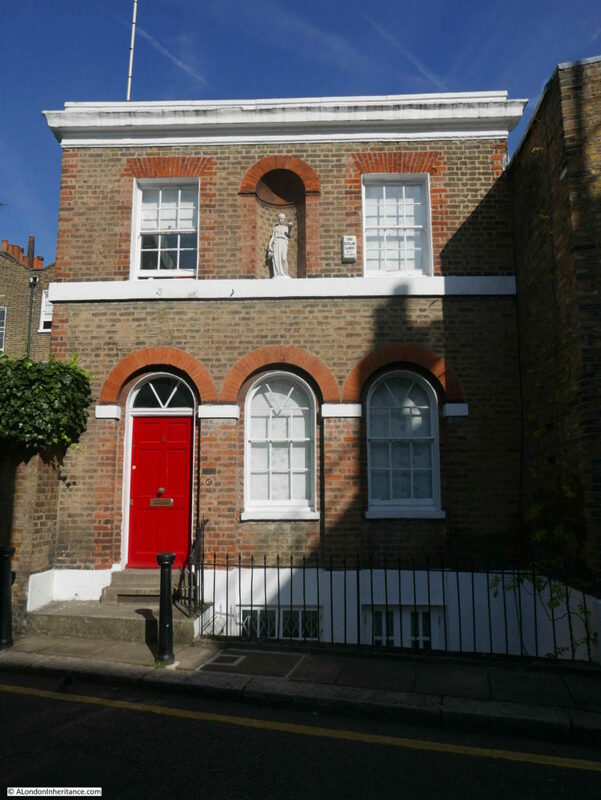 He lived in the building with his wife Mary (31) and children Mary Ann (7), Albert (6) and Frederick (1). 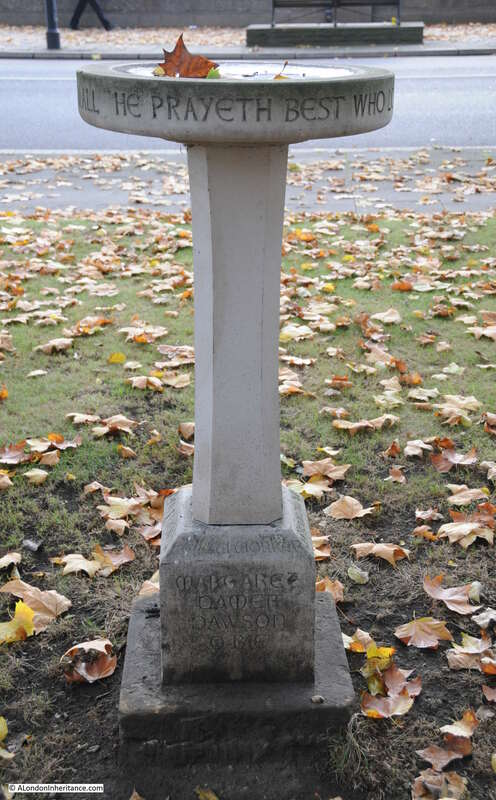 Also in the house there was a servant Florence Hele, aged 17 and listed as a General Servant. I do not know when the stores closed, or whether it was still in the Simmonds family when my father photographed the building in 1986, however it retained the Simmonds name for around 100 years. The London Metropolitan Collage archives has a photo of the stores dated from 1971. 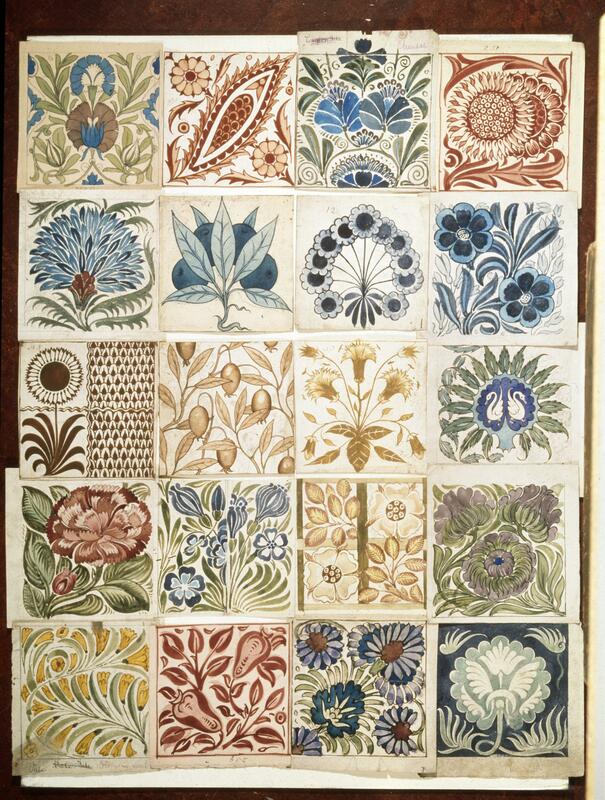 Image credit: London Metropolitan Archives, City of London: catalogue ref: SC_PHL_01_067_71_2348. 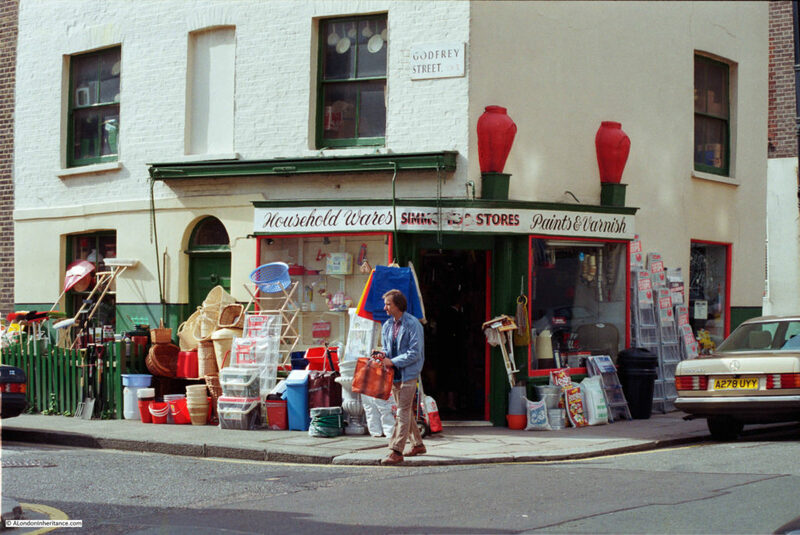 In 1971 the shop had a rather nice lantern over the door which had disappeared by 1986, All the windows on both the ground and first floors looked stuffed with goods for sale. A wider view of the location of Simmonds Stores. 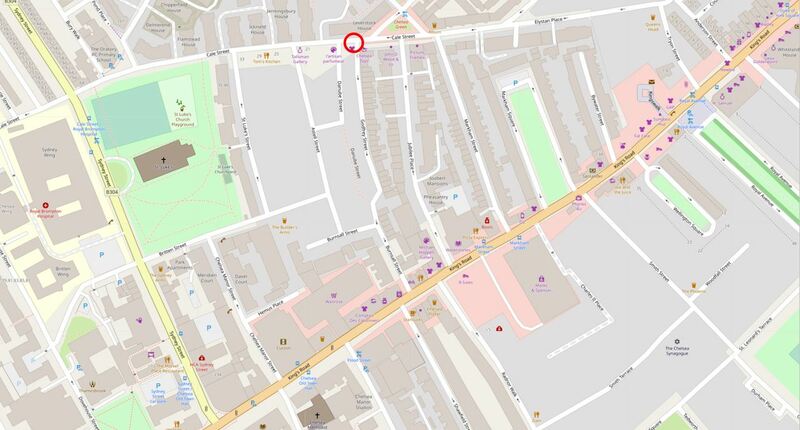 I have marked the location of the building in the following map extract to show Simmonds Stores on the north-west corner of Godfrey Street. As usual, I always use the opportunity of finding these locations to take a walk around the immediate area. The shop sits between Godfrey Street on the left and Danube Street on the right. Danube Street’s main function is to provide access to the rear of the buildings on the adjacent streets. Godfrey Street is interesting. 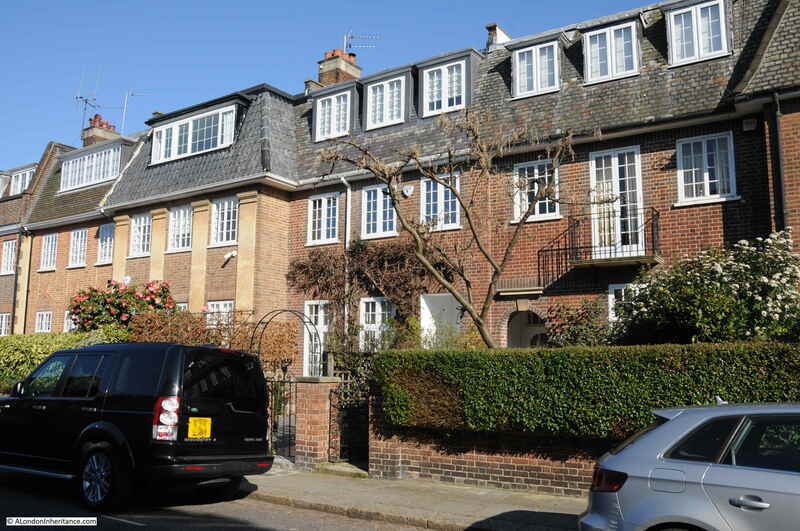 A considerable mix of architecture with houses much altered since their original build. 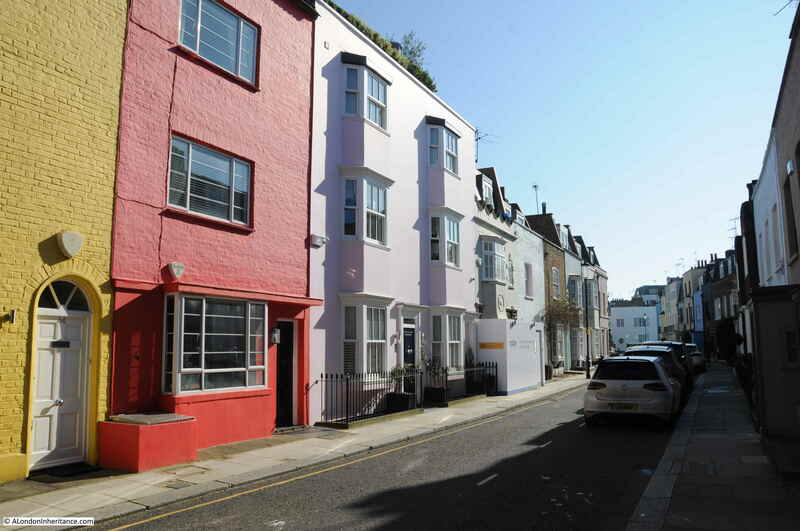 Many of the buildings have been painted in bright colours. 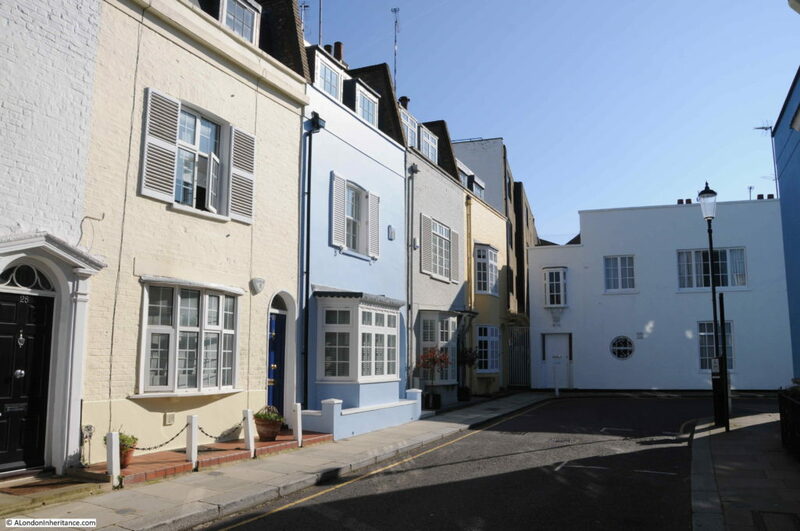 The council’s conservation reports have concerns about this approach in a conservation area – “The buildings within the area were not intended to have painted masonry finishes. Today many houses have been painted. In some cases where the whole terrace was painted many years ago in a consistent scheme, this paint has become part of the street’s character. 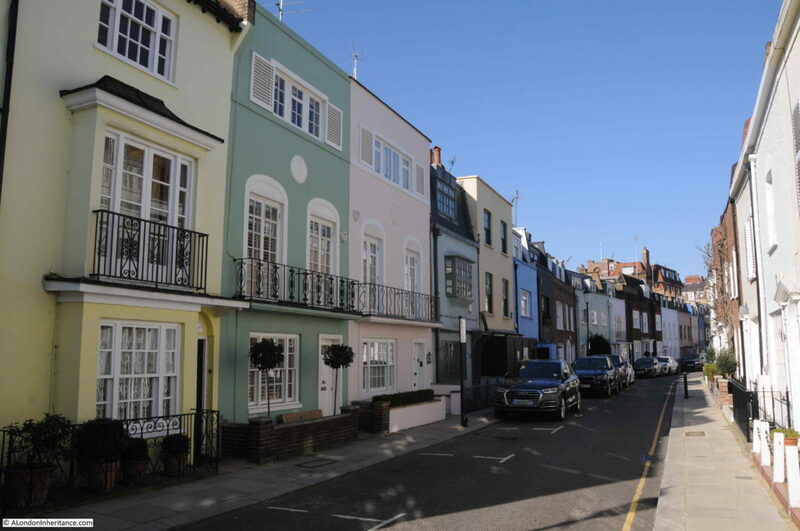 However, in other places, where individual houses have been painted in a brick terrace, they have harmed the uniformity of the terrace and the appearance of the conservation area”. View from the southern end of Godfrey Street looking up towards Cale Street. 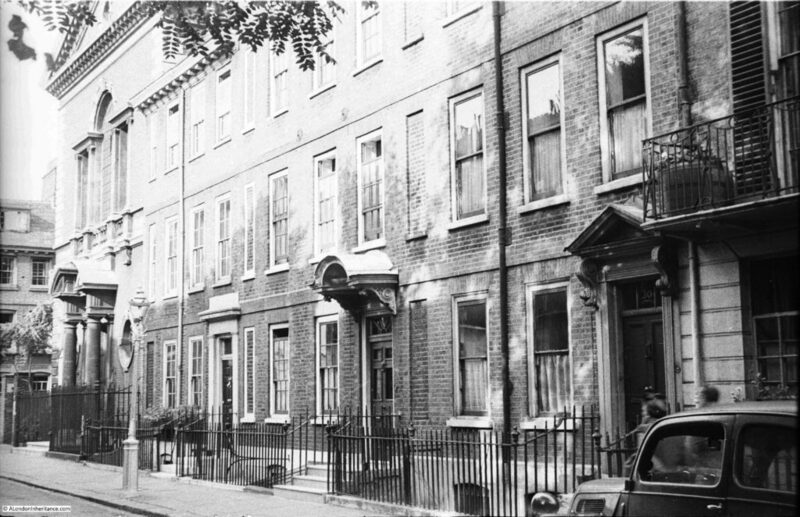 “LOVE AND SUICIDE – It may be recollected, that a few weeks ago Mr. Hilde, a Hanoverian by birth, was charged at Queen-square Police Office by a Mrs. Arthur, a young widow of 19 Godfrey Street, Chelsea-common, with frequently assaulting her, and treating her in such a manner that she considered her life in danger from his violence. 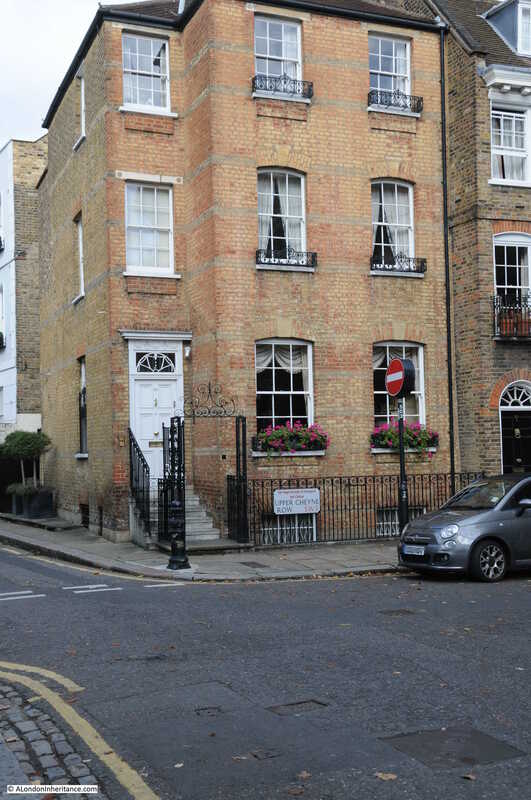 He was then ordered to enter into sureties to keep the peace towards her, but he would still continue to come to the house and annoy her, although he had moved her lodgings to No 22, Pulteney-street, Golden-square. Mr Hilde, had been a lodger of Mrs. Arthur’s and during the time he was there she was arrested and confined in Whitecross-street prison. he paid the debt for her, and she was released, and they then cohabited together as man and wife, until they had frequent quarrels, and he was in the habit of beating her continually. 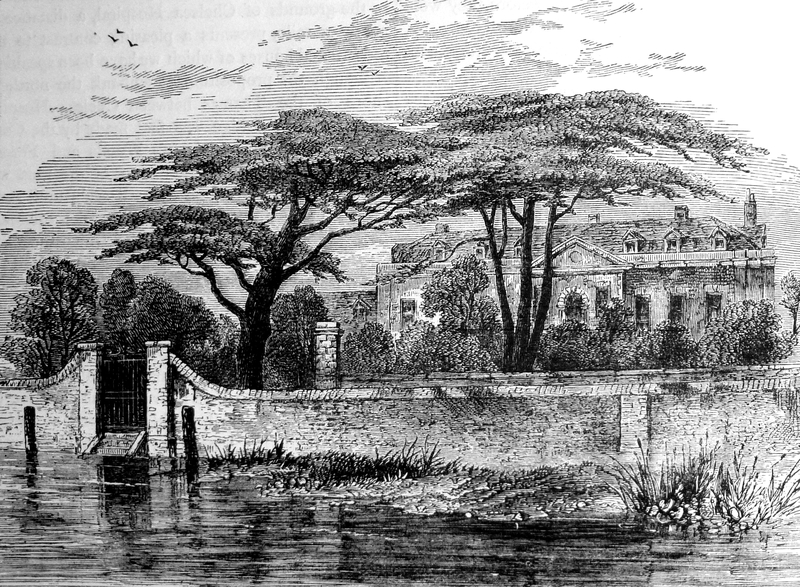 The last time he was brought to Queen-square was about a month ago for attempting to get into her house, and he had then great trouble to procure bail, as his friends found it difficult to keep him from going to the house where Mrs. Arthur resided, so devotedly did he appear to be attached to her, not withstanding his ill-usage of her. 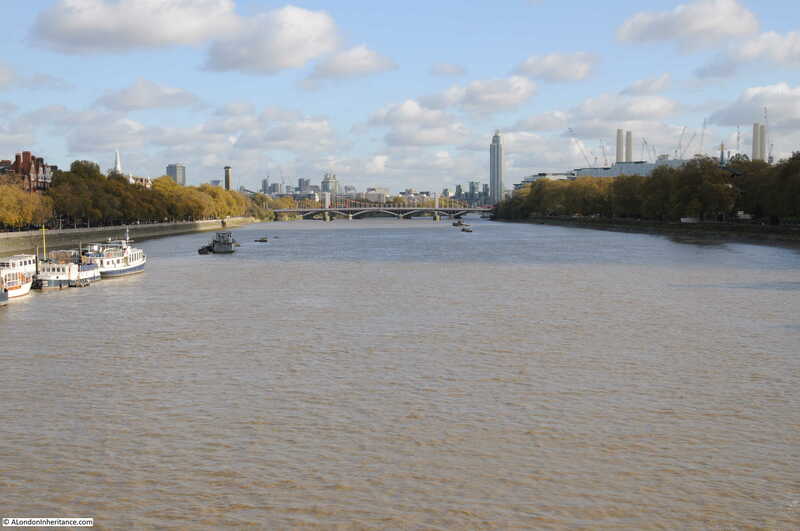 About a quarter to ten o’clock in the evening, he left King’s house to go home, and in less than half an hour afterwards King was informed that a man was in the Thames. An alarm was instantly given, boats put off, and in about twenty minutes the body of the unhappy man was picked up by Abraham Graves, a waterman, quite dead. 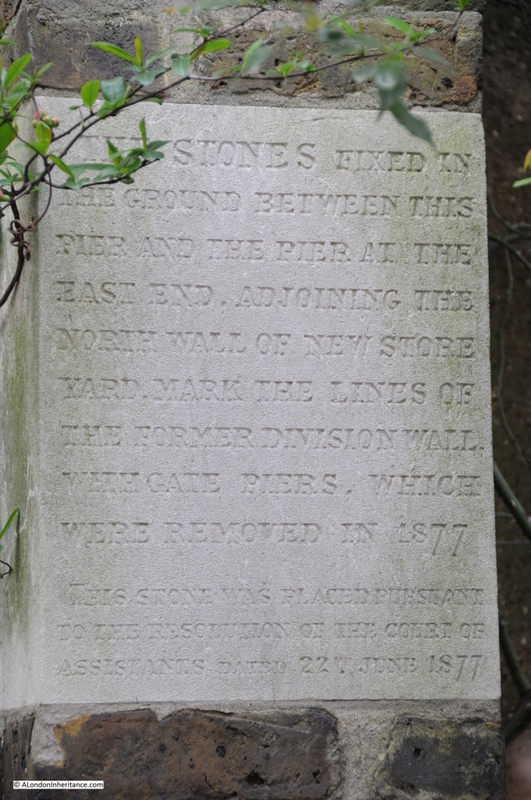 The body was taken to the Adam and Eve public-house, in Duke-street, Chelsea, and Mr. Fletcher, the surgeon, promptly attended, but every effort to restore life was ineffectual. the body now awaits the Coroner’s inquest”. 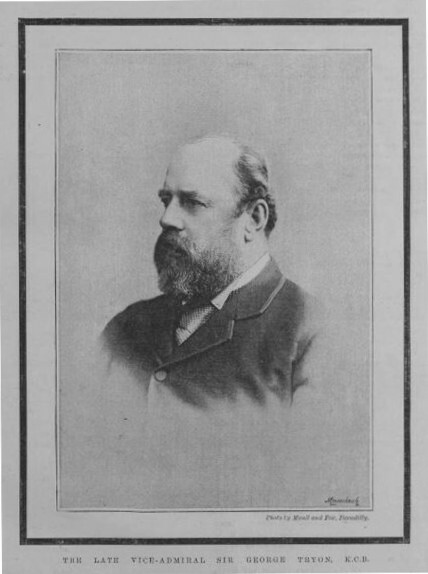 The article highlights what Mrs. Arthur had to suffer, however the sympathy of the article appears to be with Mr. Hilde despite the fact that he was the one inflicting violence on the young widow. Sadly what happened in Godfrey Street was suffered by woman all across the City with minimal impact on the male perpetrators. 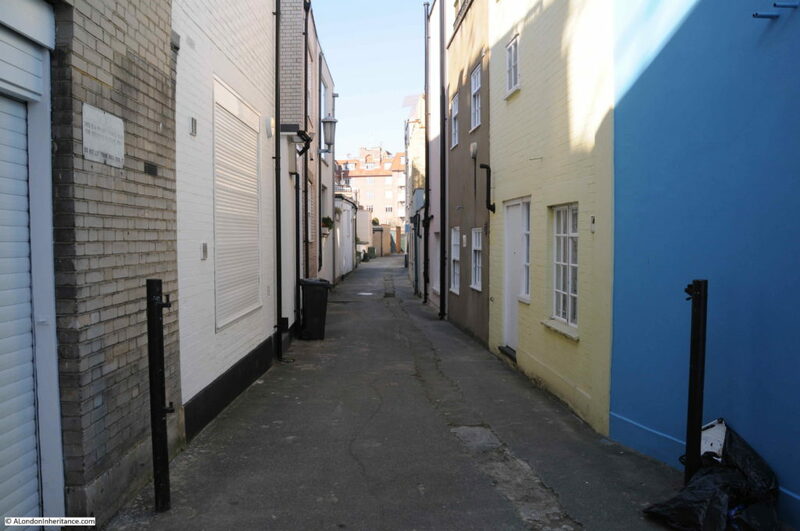 At first glance, Godfrey Street ends in a dead-end with a house appearing to close the street, however the street does a 90 degree bend to the right, where it meets the narrow Danube Street (the southern section of which is also called Godfrey Street). On the corner is a rather nice bollard. 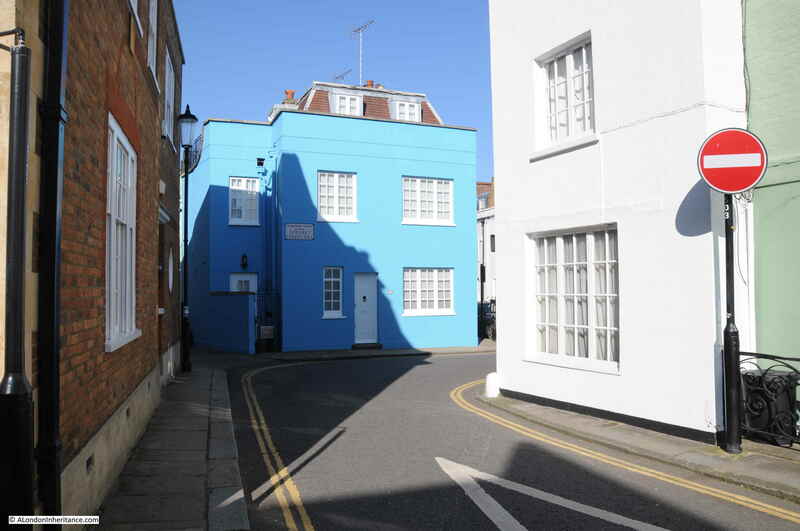 Turning the corner at the end of Godfrey Street and the house between the main street and the small side street is painted bright blue. Looking down Godfrey / Danube Street that runs at the rear of the houses. A narrow service alley that provides access to the rear of the buildings. Godfrey Street ends at the junction with Burnsall Street. I turned right into Burnsall Street to look at the buildings that are on the opposite side of the alley that runs at the back of Godfrey Street. These houses are very different. This is Astell Street which runs parallel to Godfrey Street, up to Cale Street. These buildings are very different to those in Godfrey Street. A look at the 1895 Ordnance Survey map shows that this street was named Blenheim Street and was comprised of workman’s houses, very similar to those in Godfrey Street, however early 20th century redevelopment demolished the original terraces of two storey houses and replaced them with much larger, and more expensive houses. 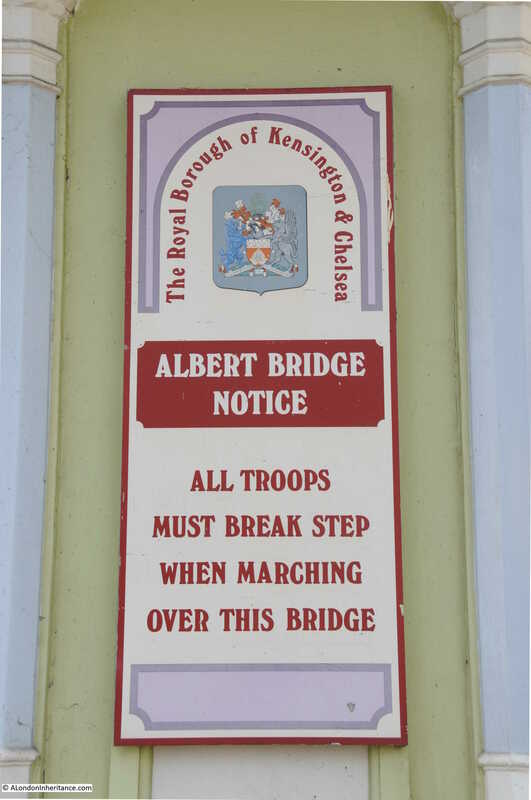 These changes were happening across Chelsea, causing the Chelsea Society in 1937 to express concern about the social mix of the area changing as working class homes were being demolished and replaced with the type of building we can see in Astell Street. 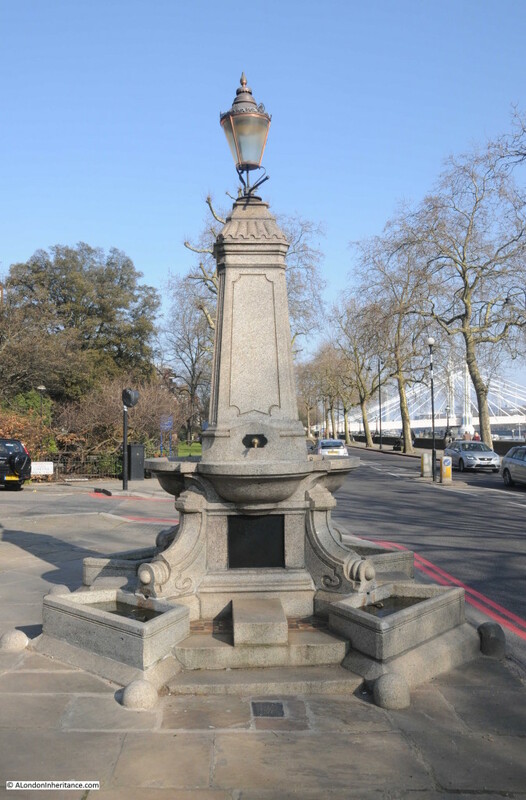 At the junction of Astell Street and Britten Street is another rather nice original bollard, dating from 1844. 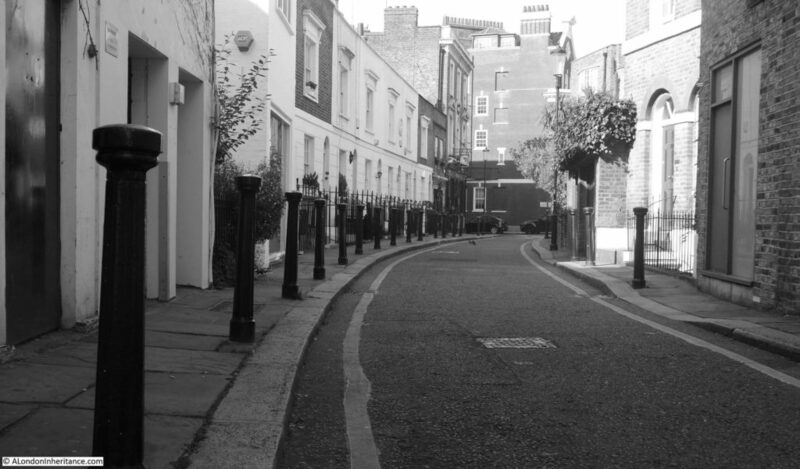 Walking down Britten Street and by a lucky coincidence there is the type of place where I like to end a walk. This is the Builders Arms. 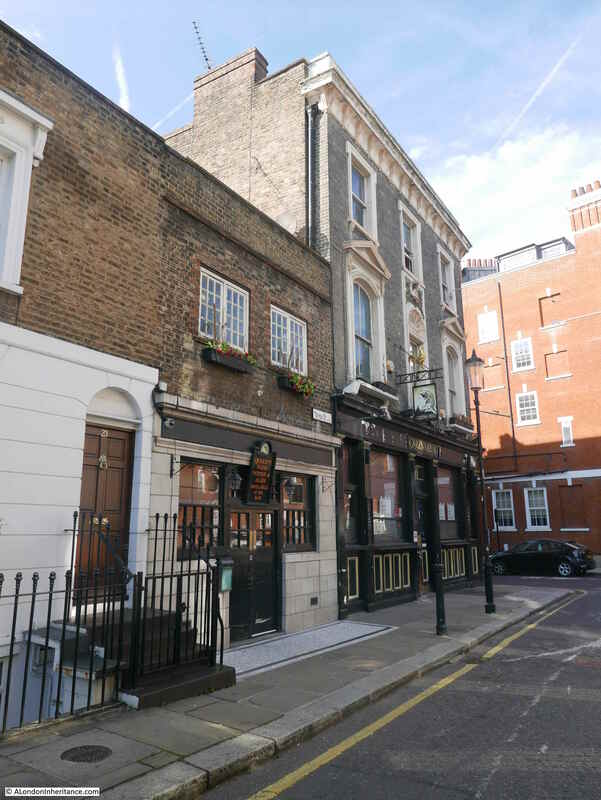 The pub has the date c. 1820 at the very top of the building, however the written references I have found for the pub appear to date the building to around 1841. 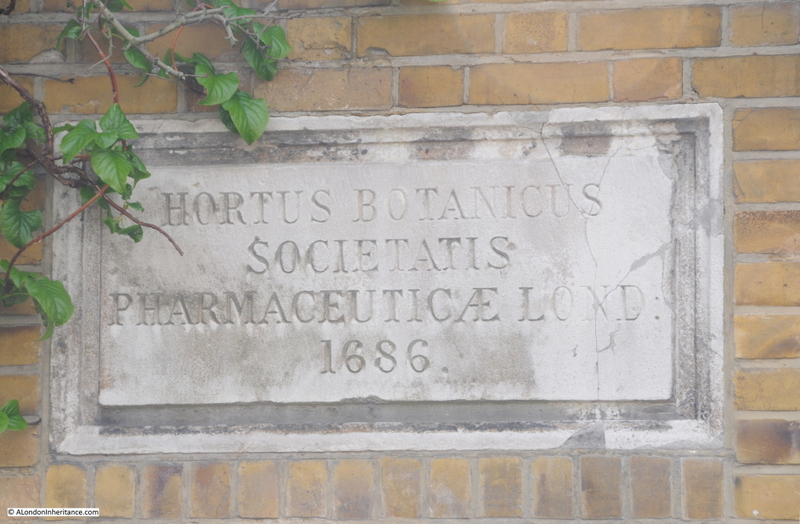 The reference to 1820 is a recent addition as this was not on the building in the 1970s. 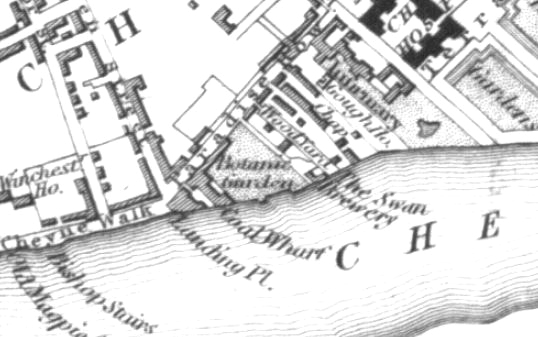 The Builders Arms was located adjacent to the Anchor Brewery. 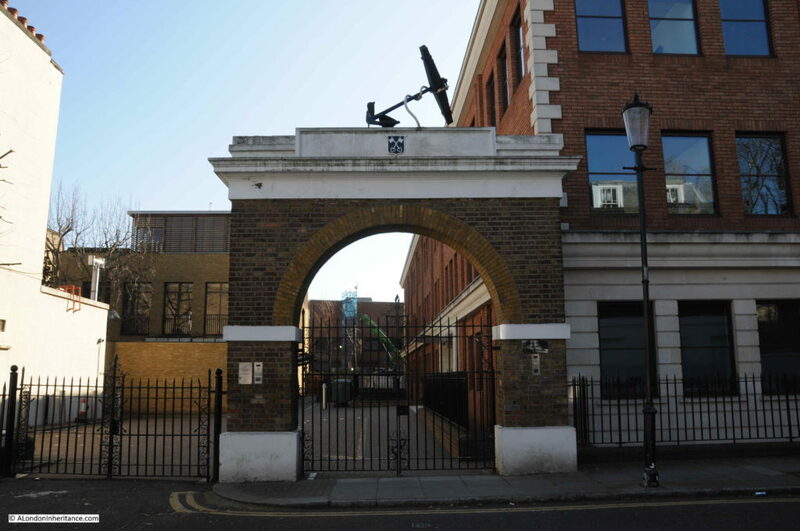 The site of the Brewery has been considerably redeveloped, however an entrance gate can still be seen. I am not sure if I remember correctly, however I believe the arch is a rebuild of the original arch, although I may be wrong. 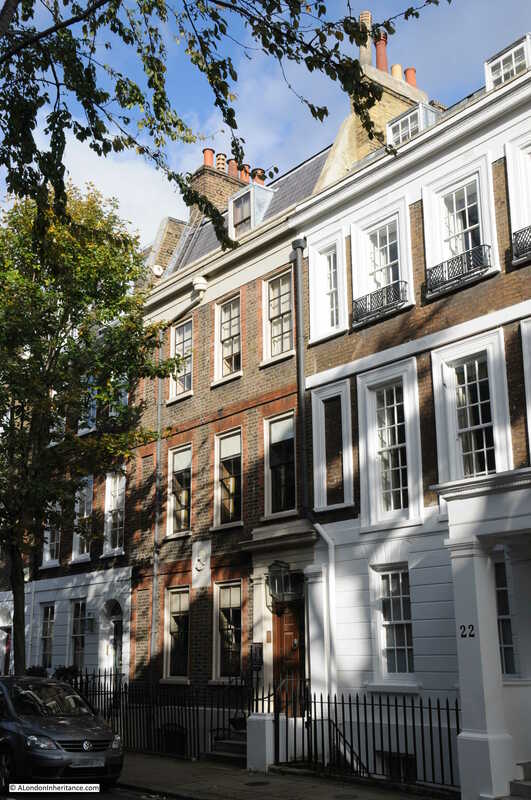 Simmonds Stores typifies how Chelsea has changed over the last few decades, however as with the references to Astell Street, the gradual change from original working class housing to the multi-million pound housing we find today has been going on for very many years. I have covered a number of these 1980s corner shops, and have very many more to find, however for the next series of posts, I will be returning to 1940s and 1950s London, and also discovering some other aspects of London. This entry was posted in London Streets and tagged Chelsea, Corner Shops, Godfrey Street, Oil Shops on March 10, 2019 by admin. 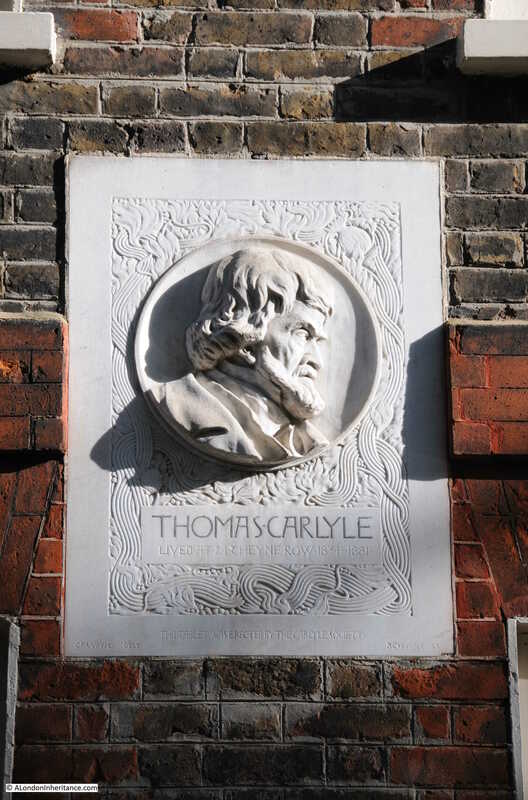 If you walk from Sloane Square, along the King’s Road, pass the Saatchi Gallery on the left and a short distance further on the right will be Tryon Street, a very narrow Chelsea street leading from the King’s Road. 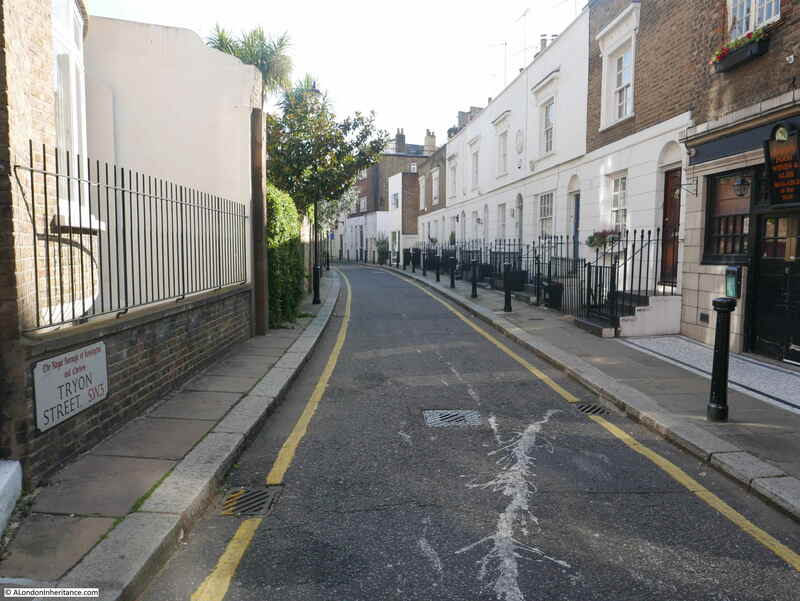 No entry signs indicate that you cannot drive directly into the street as it is a one way street with traffic entering from Elystan Place to the north. I took the 2018 photo in Black & White as I suspect using colour artificially over emphasizes the changes in a scene, and in Tryon Street there has been very little change in 70 years. 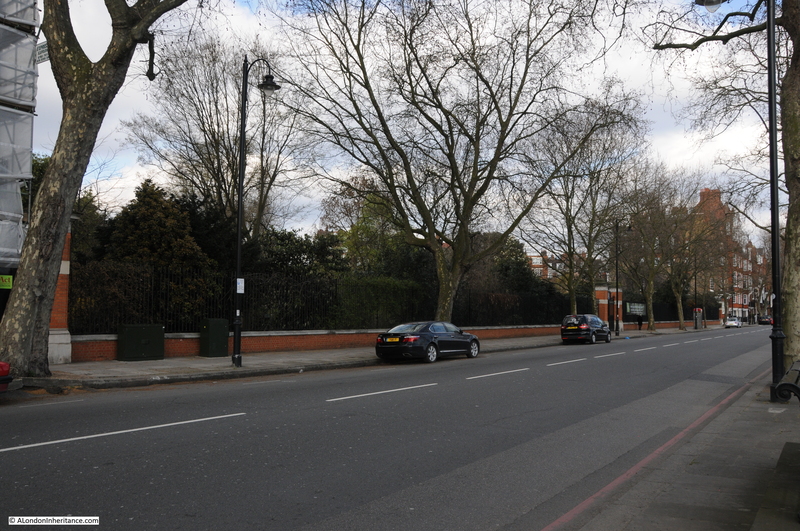 The bollards have been changed, however a continuous line of bollards still runs the length of the street. There have been some cosmetic changes to the buildings, with a bit more structural change in the buildings nearest the camera. The road has been resurfaced, yellow lines have been added and the same metal chamber cover is in the same place in the middle of the road. I am not sure why my father took the photo of Tryon Street. There is no obvious feature in the photo. 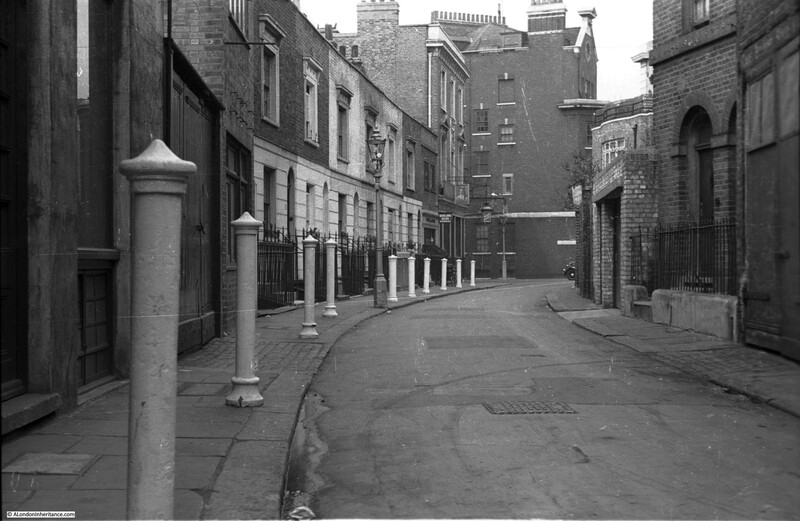 i suspect the bollards had something to do with the decision to photograph the street as the line of bollards leading of to the end of the street enhances the composition of the photo. I could not find that much information about Tryon Street. It is only a short street, the above photos show the full length of the street and it was only named Tryon Street in 1913, the street was originally part of the much longer Keppel Street, however the origin of the name is fascinating. Tryon Street was named after Vice-Admiral Sir George Tryon who died when his ship sunk in the Mediterranean in 1893. The name of Tryon Street recalls a major naval tragedy. “When ships are in columns of divisions, as we were, they ought to be twice the number of cables apart as there are ships in the longest line or column. We had six ships in the first division, and five in the second division- i.e. we ought to have really twelve cables apart (2400 yards); but we were only six cables (1200 yards). The diameter that the slowest ship is supposed to take in turning 16 points or right round is 800 yards. therefore two ships would occupy 1600 yards. We were coming up from Beyrout about six miles from the shore, and were in two divisions, but only six cables (1200 yards) apart. The Admiral wanted to anchor the Fleet in line abreast, one division behind the other, to do which he had to re-form the fleet first, by turning the ships right round. He could have done two things, either turning each division outwards, or each inwards. He, for some reason, made the signal to turn inwards, namely, each ship in the division to turn in succession inwards on arriving where he turned. The two ships turned inwards, and the Camperdown closed watertight doors, seeing it impossible to avoid a collision. She struck the Victoria nearly at right angles, both ships going eight knots, just before the fore turret on the starboard side. The Victoria had a fearful hole in her side, and as she heeled, her turrets and guns may have got loose and helped to turn her. She first seemed to have her bows under water, but made the signal ‘Negative sending boats’ and a semaphore, ‘Do not send boats but have them ready’. the next thing that I saw was that she began to heel over to starboard, and then more, until I could see her port screw going round out of water, it was a horrible sight. Next she seemed to make a plunge forward to starboard, and suddenly went right over, and we saw for a brief moment a most sickening sight, which I am sure, filled us all with awe – the enormous bottom upwards and both screws going round. I can see it now. In fact, one can never forget it. Then she sank and all was still. Of course, all boats in the Fleet were away as soon as we saw her with such a heel, and remained there until dark. However it was soon known that our Commander in Chief was gone. 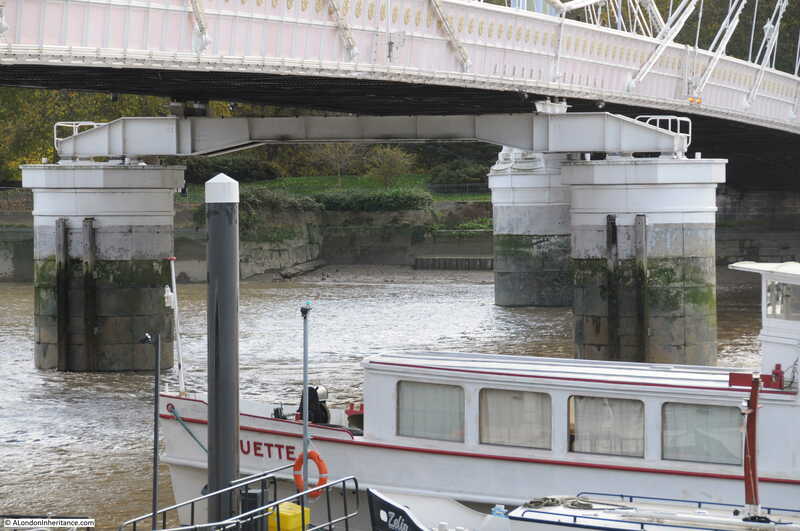 The poor engineers and the stokers in the engine-room and the stoke-hole ! Theirs must have been an awful death – too awful to think of. Thank God though that their end was not a slow one, for I think she blew up, as a few seconds after a huge volume of smoke arose to the surface. 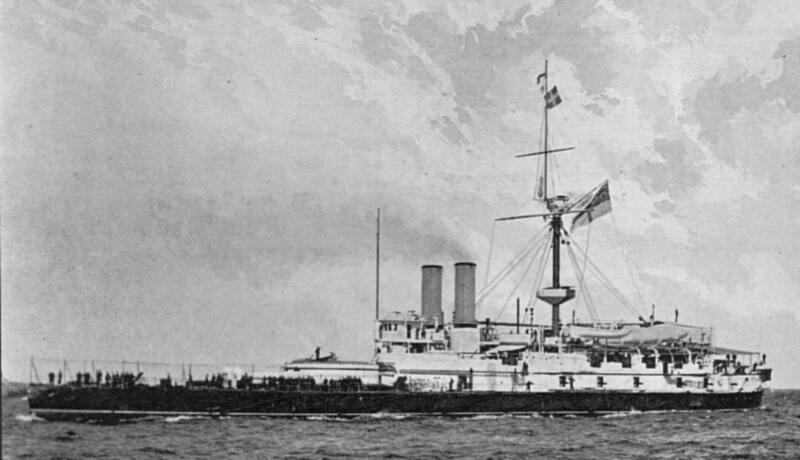 As well as Vice-Admiral Sir George Tryon, 22 officers and 336 men died in the sinking of the Victoria, although some reports put the number of casualties as high as 422. Of the casualties, 19 were were recorded as ‘boys’. The wreck of the Victoria was considered to be in too deep water to attempt any recovery of bodies, and HMS Victoria still sits at the bottom of the Mediterranean near Tripoli, Lebanon. 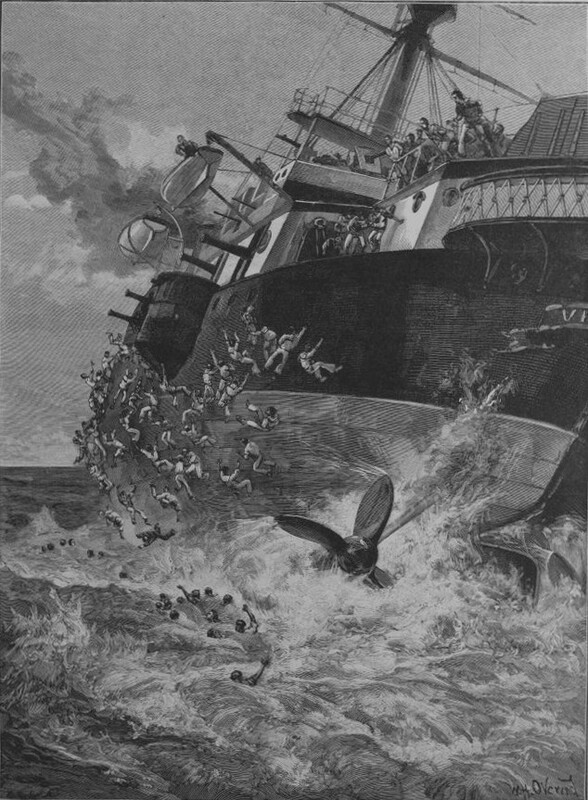 The Illustrated London News carried a number of illustrations of the tragedy, including the following illustration showing the Victoria starting to turn over, with one of the screws already out of the water. 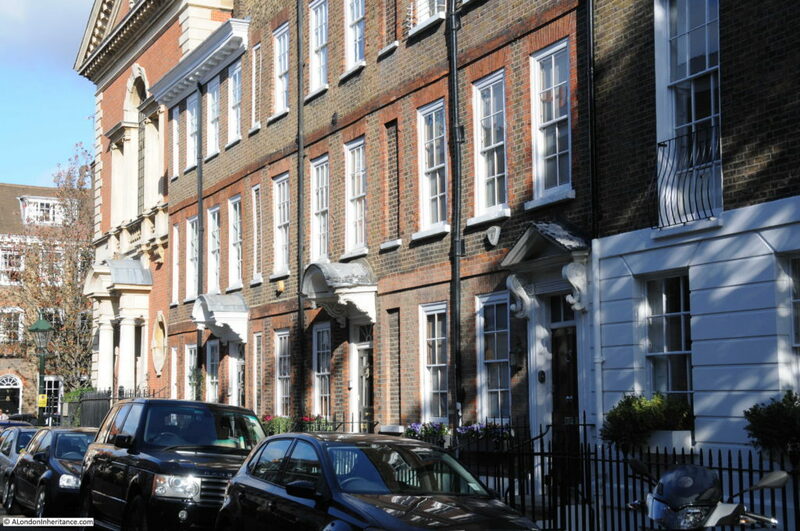 I cannot find any association between Sir George Tryon and the street that now has his name, however he did have a London house at Eaton Place, not that far away, on the other side of Sloane Square, where his wife was in residence at the time of the disaster. Whilst Tryon Street may appear rather ordinary, the origin of the name is anything but. Walking down Tryon Street, there are some interesting buildings. A short distance along on the right is this building. In the original photo, just the entrance on the left is visible. 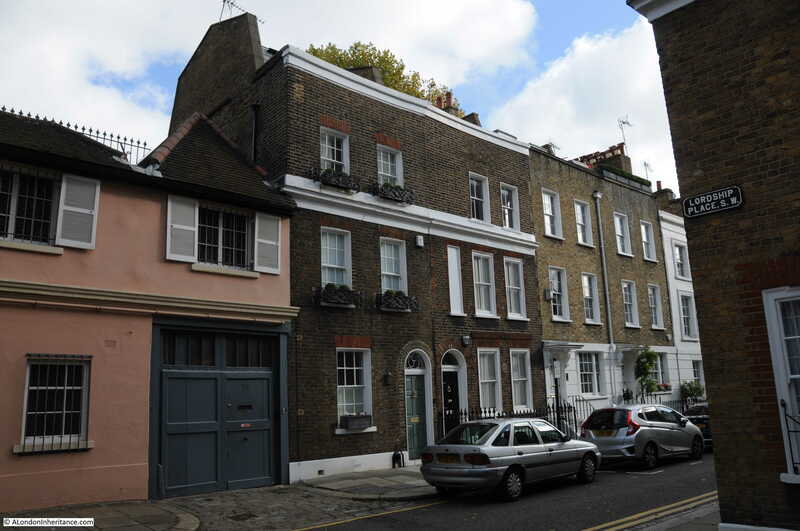 Further along, on one of the terrace houses on the left is a rather ornate plaque. 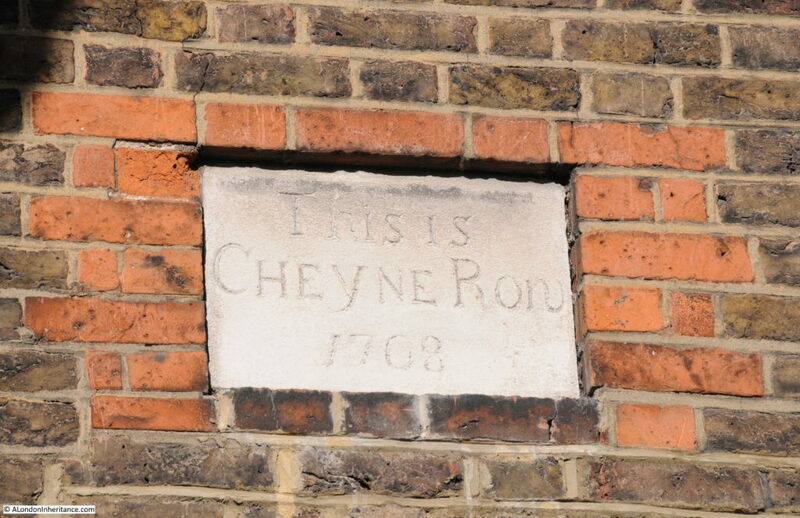 Chelsea had a a long association with pottery so perhaps the plaque is from, or has some relevance to the Chelsea potteries. 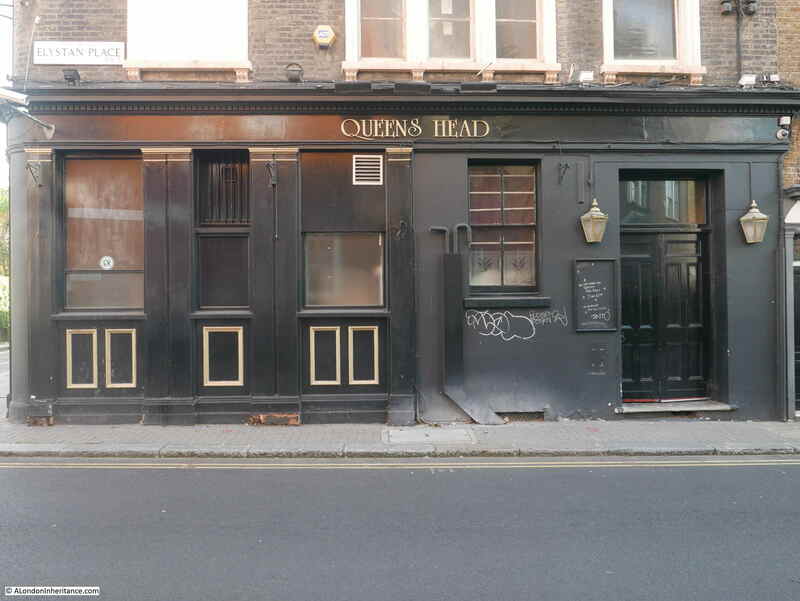 At the end of the street is a typical Victorian corner pub – the Queen’s Head. The pub closed on the 7th September 2016 and has been waiting for planning permission to be granted for changes. 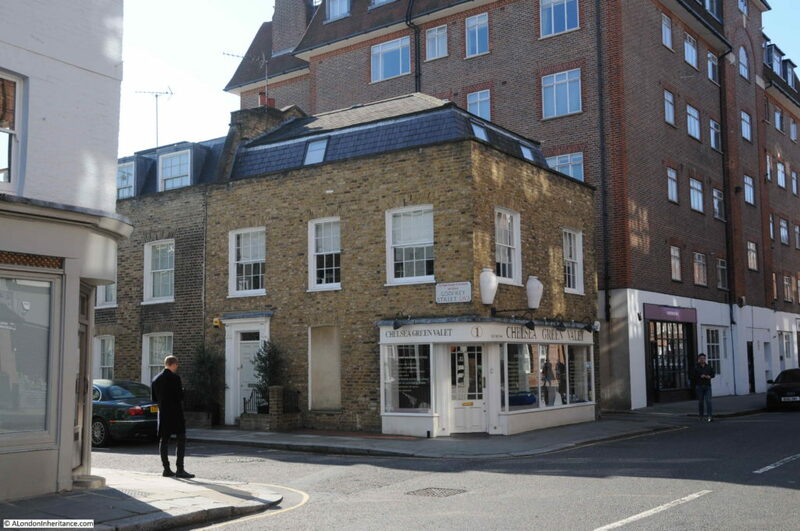 Originally a full conversion to residential was proposed, however the latest planning request is for residential on the first and second floors, and extension to the roof with conversion of the extension to the left of the pub also to residential. The intention is that the pub will reopen on the ground floor and basement as a pub and restaurant. 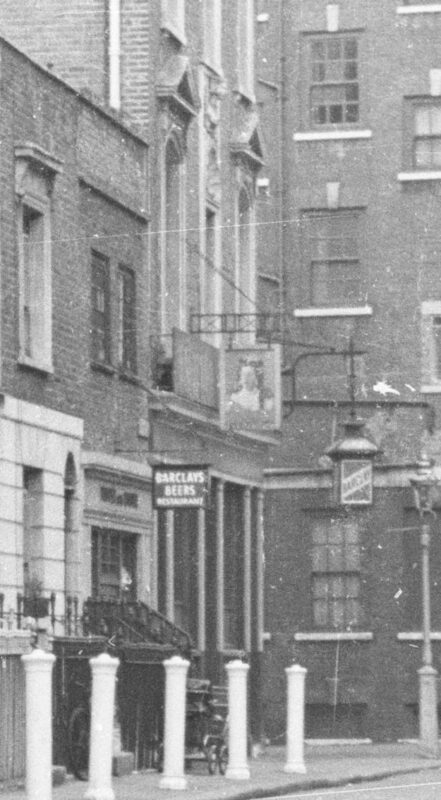 The rather strange looking extension on the left of the pub is an early 20th century conversion, where the original house that was part of the 19th century terrace that runs along Tryon Street, was demolished and the pub extension built. 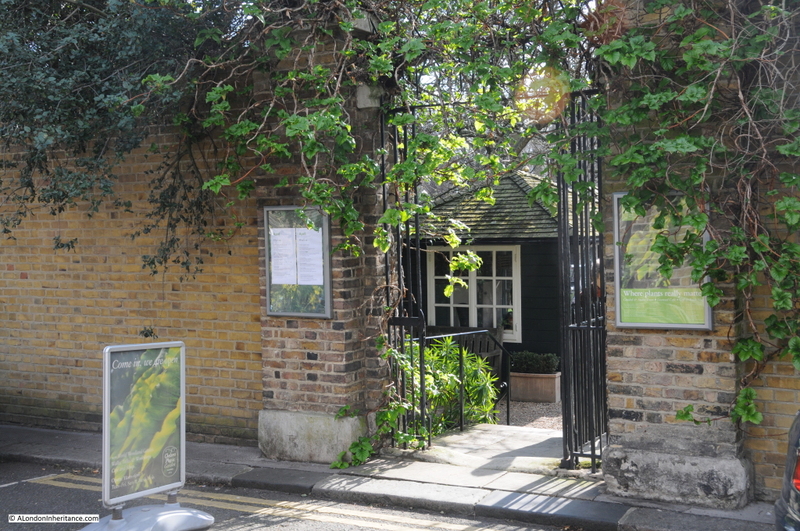 It was used as a lounge bar to the pub. I cut an extract from my father’s original photo to show the detail of the pub as it was. The pub sold Barclays Beers. There is what appears to be a pram parked outside the pub. The Queen’s Head is a very distinctive feature on the corner of Tryon Street and Elystan Place. 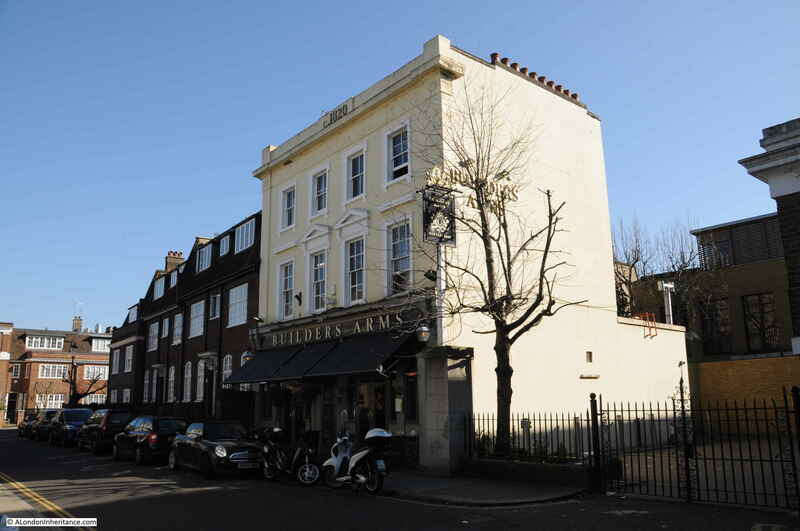 The building is higher than the terraces on either side helping the pub to stand out. 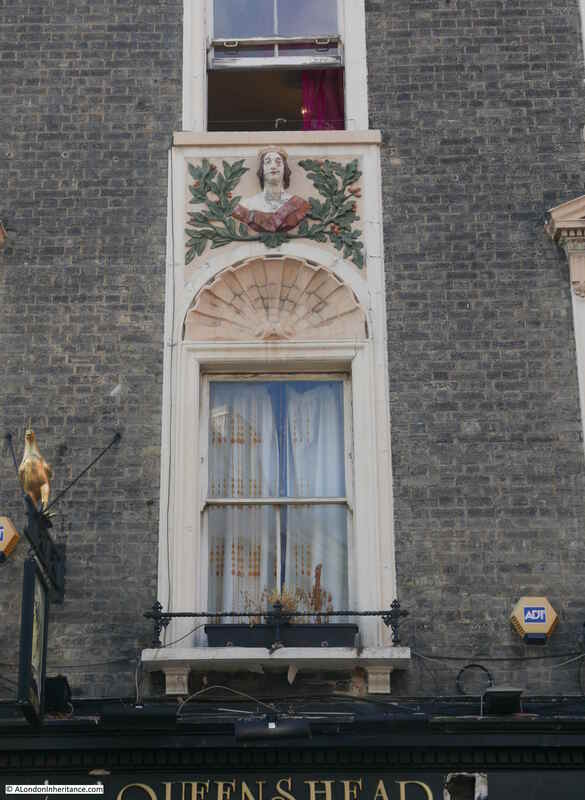 Decorative feature of the Queen’s Head on the first floor of the pub facing onto Tryon Street. The Queen’s Head facade facing Elystan Place. In the short time I was in Tryon Place, it seemed very quiet, very different to the King’s Road at the end of the street. There was no through traffic and just the occasional walker using the street as a cut through to somewhere else. 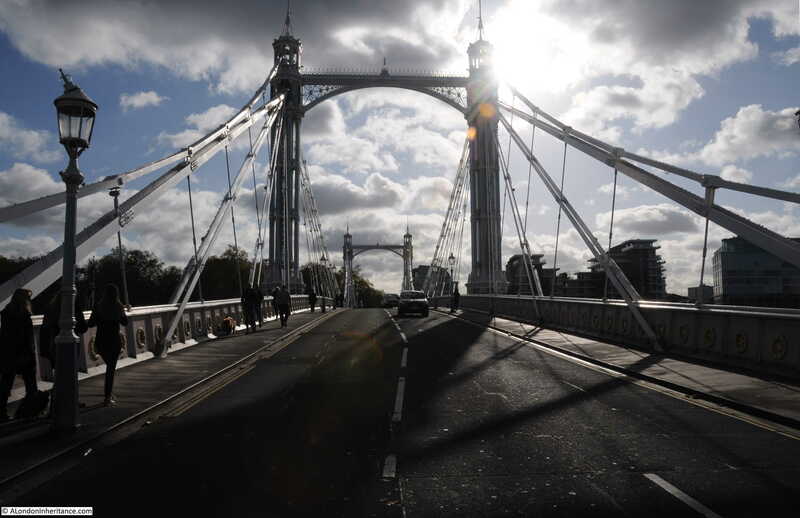 A search through newspapers revealed the normal adverts of goods for sale, situations vacant, tragedy and strangeness that can be found in any London street over the years. On the 2nd of August 1940, Mr William Hendra aged 70 dropped dead in Tryon Street whilst on his way to work. He had been a foreman painter for 46 years and left a widow, fours sons and three daughters. 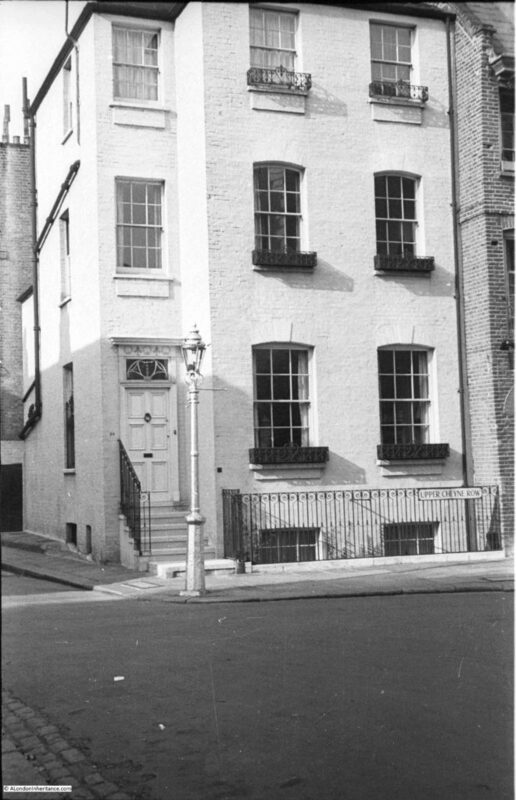 In February 1940, the secretary of the Ye Old Bell Loan Club and the Queen’s Head Loan Club, both of the Queen’s Head pub, Tryon Street was sent to prison for a month after the loss of £70. In what must have been a very common situation, the secretary was out of work and having to support five children on 39s a week unemployment benefit. The magistrate appears to have been sympathetic as he said “I am exceedingly sorry to see you in the position you are now. It is impossible to pass over an offence of this sort. I don’t say you started taking money intending not to repay, but it is gross carelessness on your part to take £70 without knowing what had become of it. Unless you had a good character I would certainly have given you a long sentence. As it is, go to prison for a month and think yourself exceedingly fortunate”. It is always interesting to look at the pavement when walking London’s streets, as well as the buildings. 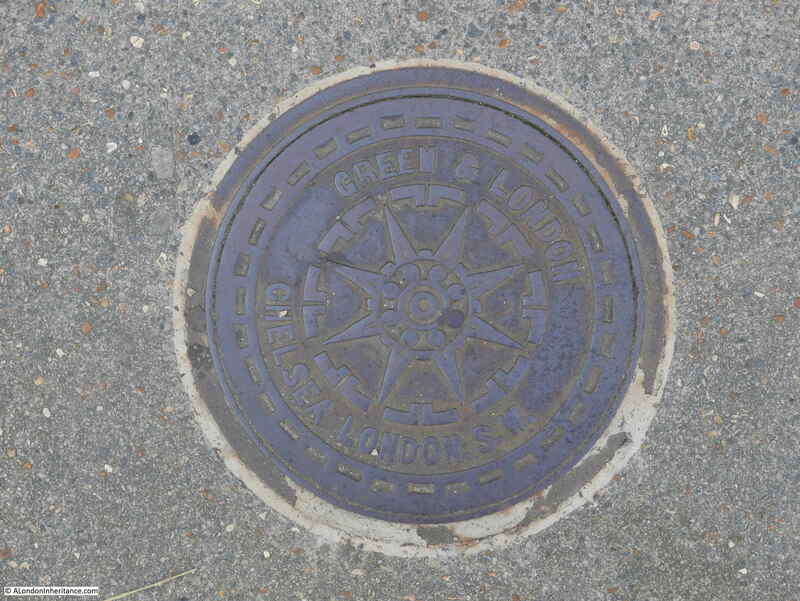 There are plenty of covers to coal holes along the pavement. 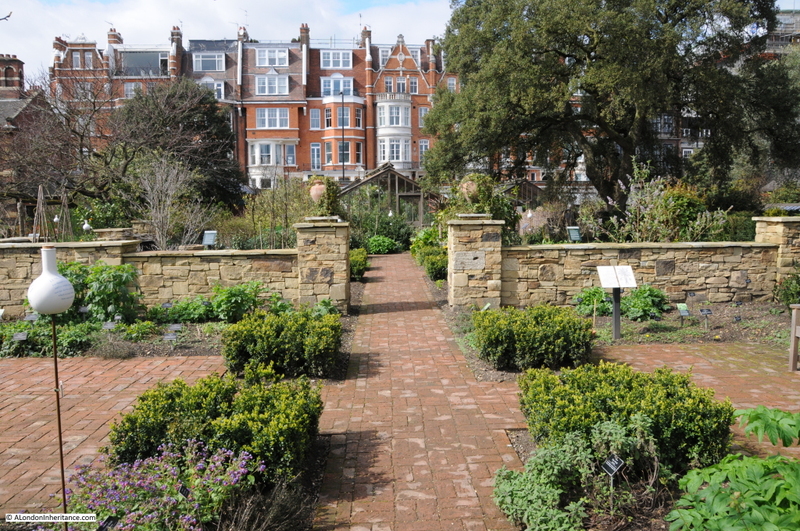 This one is marked as Green & London – Chelsea, London, SW. 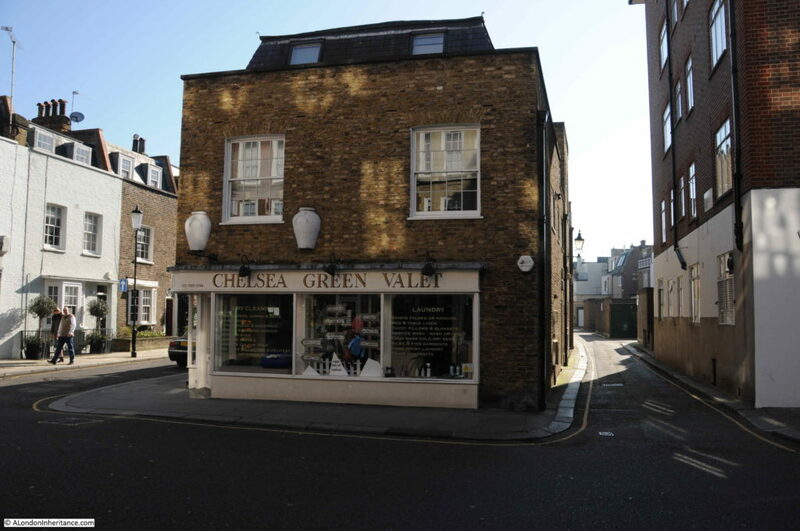 The cover was purchased locally as Green and London were an ironmongers located at 121 King’s Road. Tryon Street has changed very little over the last 70 years. 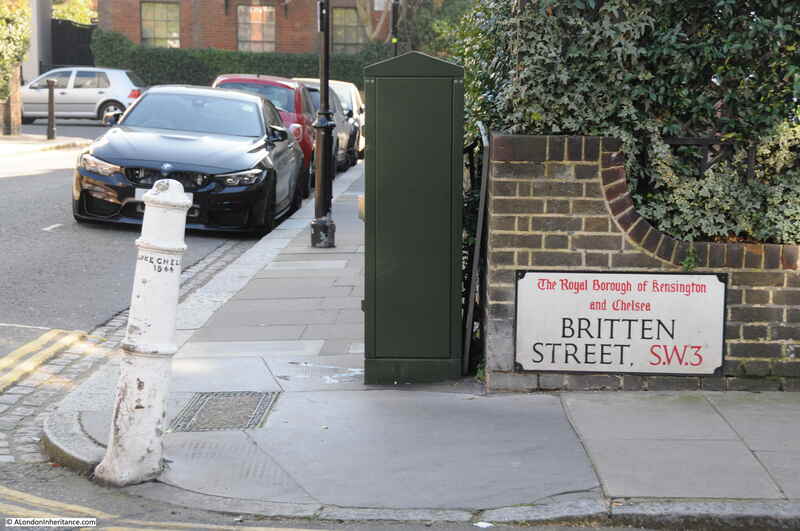 A short street that most people appear to use as a cut through to and from the King’s Road, however it is a street with a name that recalls a naval tragedy of the late 19th century. 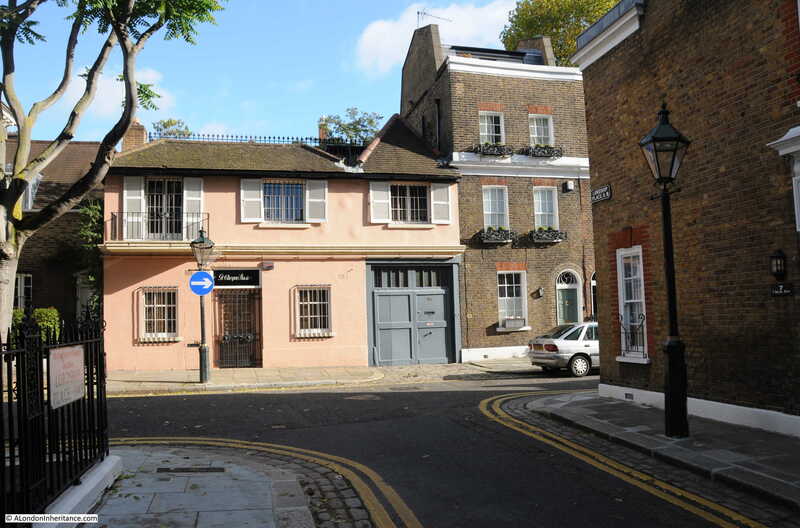 It will be good to see the Queen’s Head restored and reopened as a pub. 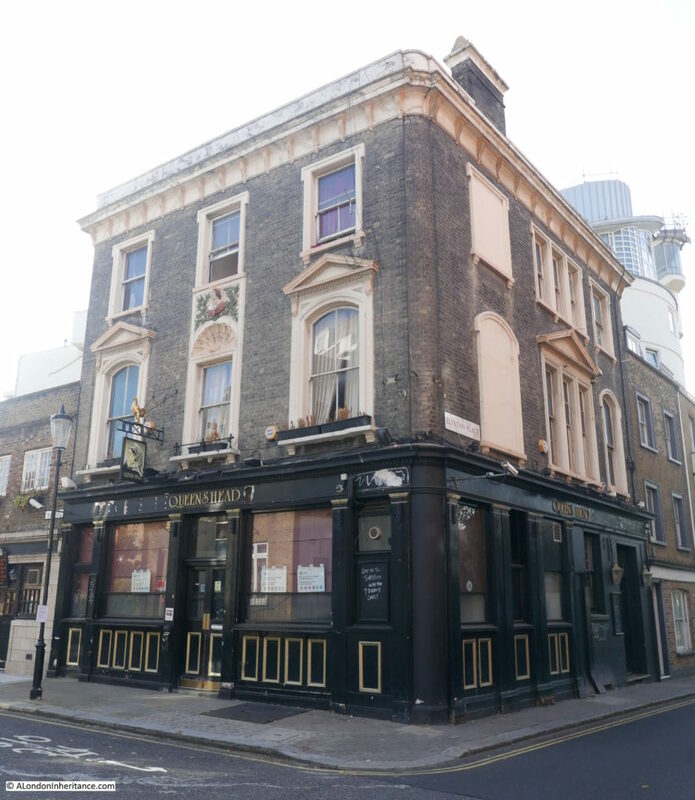 There are too many lost pubs in London so retaining this fine Victorian example will be one small victory. This entry was posted in London Streets and tagged Chelsea, Tryon Street on October 28, 2018 by admin. 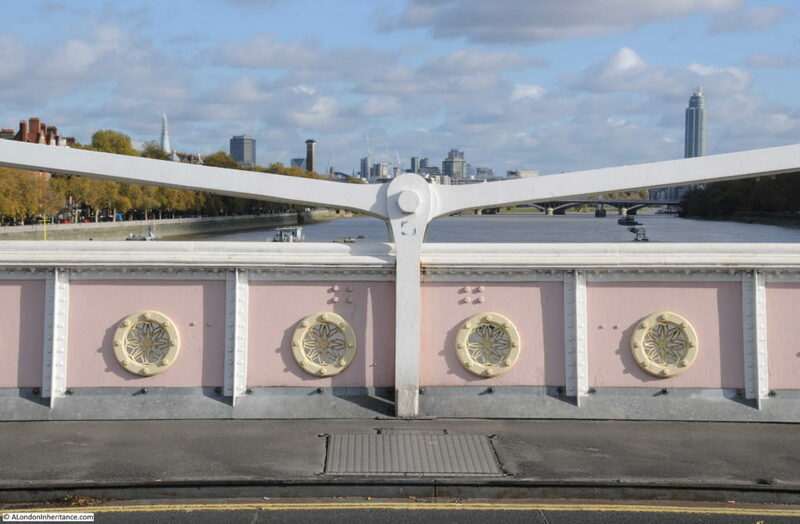 So many historical buildings were destroyed across London in the last war, however few have been reconstructed with such care, and continue to fulfill their original function as the subject of this week’s post. 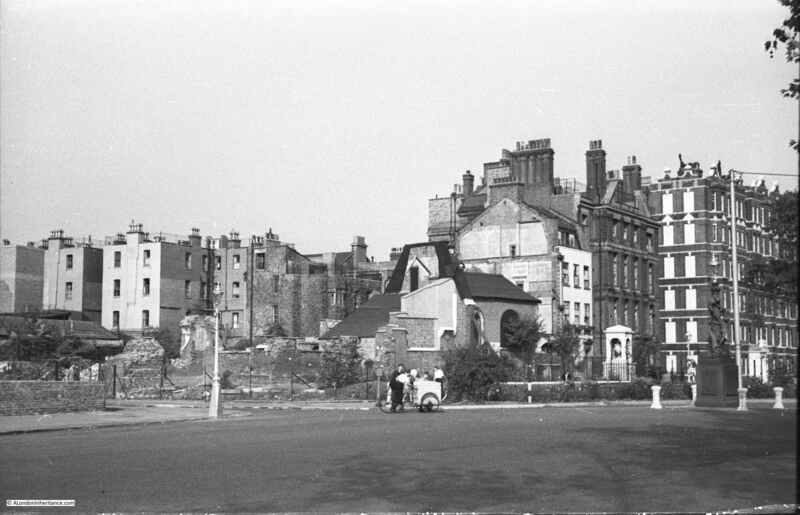 A quick look at the following photo and it is another bomb site, however the white monument on the right of the photo confirms exactly where this is, the site of Chelsea Old Church, at the junction of Old Church Street and Cheyne Walk. When my father took the photo, very little of the church remained apart from the chapel on the right. The main body of the church along with the tower had been completely destroyed. The same location today, with the reconstructed church. The monument and buildings to the right confirm the location. 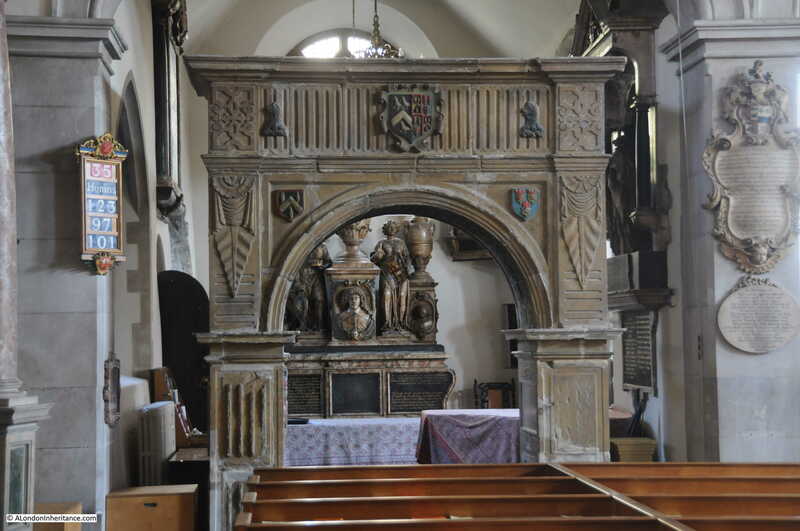 And to confirm how accurately the church was reconstructed, the following photo shows the pre-war church. 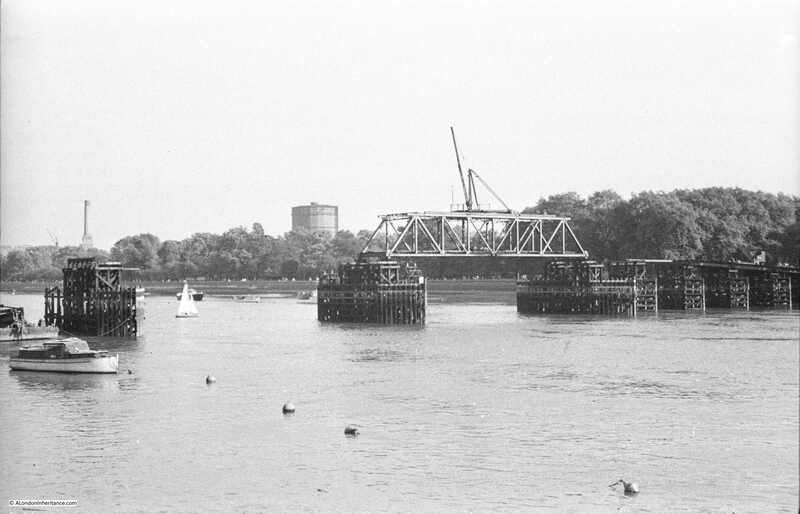 In 1957 a booklet was published to raise money for the rebuilding fund. Titled “Chelsea Old Church, 1941 – 1950” it tells the story of the destruction of the church and the battle to rebuild. Chelsea was heavily bombed that night with a total of five parachute mines, a range of high explosive bombs and hundreds of incendiary bombs. Parachute mines, or landmines were really the same mines as used at sea. They were dropped by parachute and detonated either by vibration or magnetism making them a problem on the ground until they could be safely dealt with. 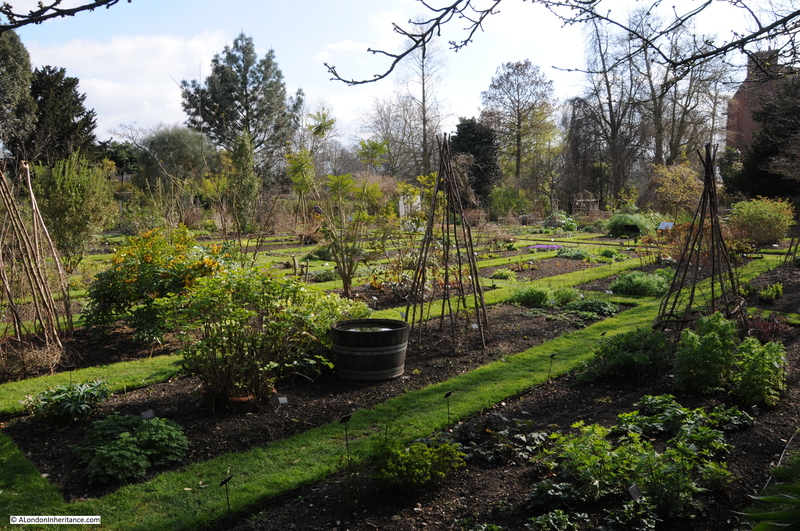 April 16th had been a fine spring day, much like the day I visited the church, with the sun shining all day long. 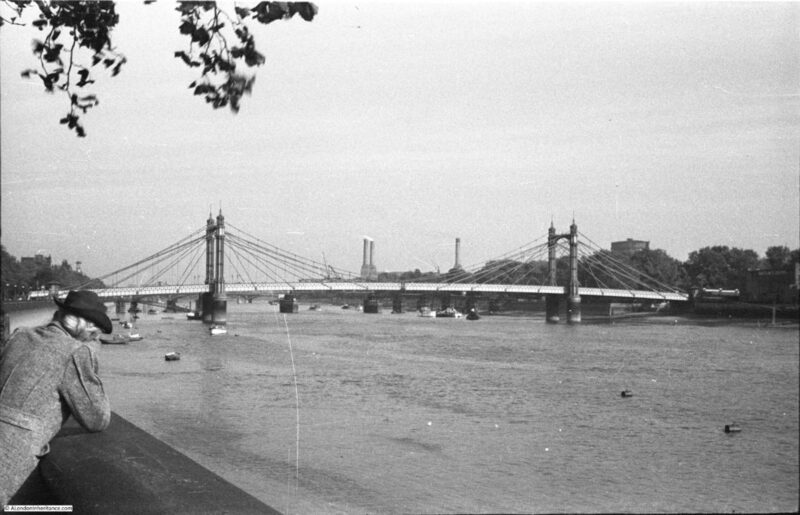 The air raid sirens sounded at five past nine in the evening and the residents of Chelsea either headed towards air raid shelters or stayed in their homes and the fire watchers took up their positions ready to deal with any fires caused by incendiaries and to try and deal with any casualties of bombing. “By one in the morning about forty trapped casualties had been reported at the Royal Hospital Infirmary. A wardens’ post nearby had dealt with more than that number of walking cases and homeless persons. 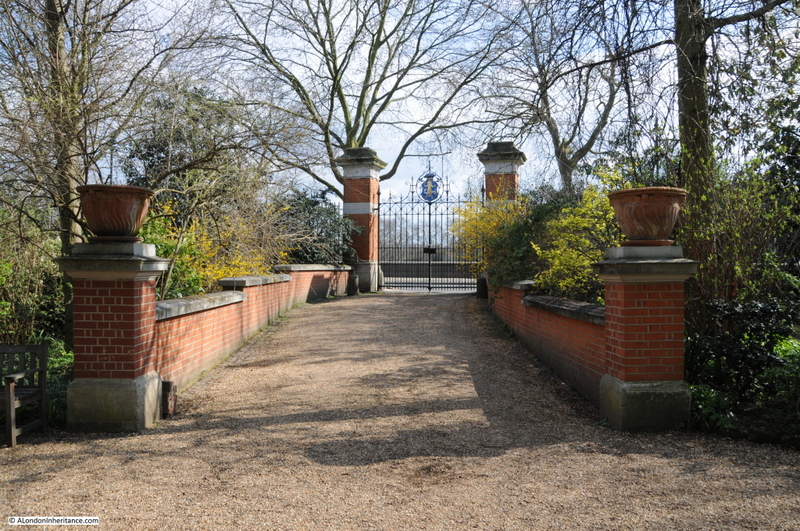 The Post Warden was conducting his senior officer, the District Warden, on a tour of the area, and they were returning from watching incendiary bombs rattling down on the warehouse roofs across the river when they saw six members of the Old Church Fire Party leave the shadow of the tower and walk away from it along Cheyne Walk towards Danvers Street. 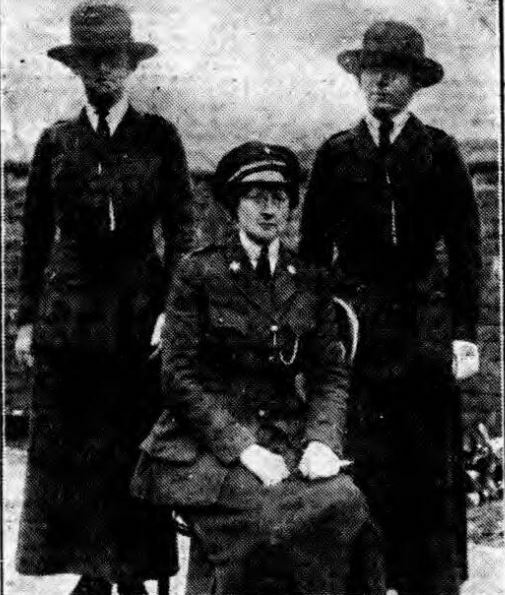 “About the time the sirens sounded the “Alert”, Mallett and the others on duty had gone up to the top of the church tower, the first time they had been up there, he said. 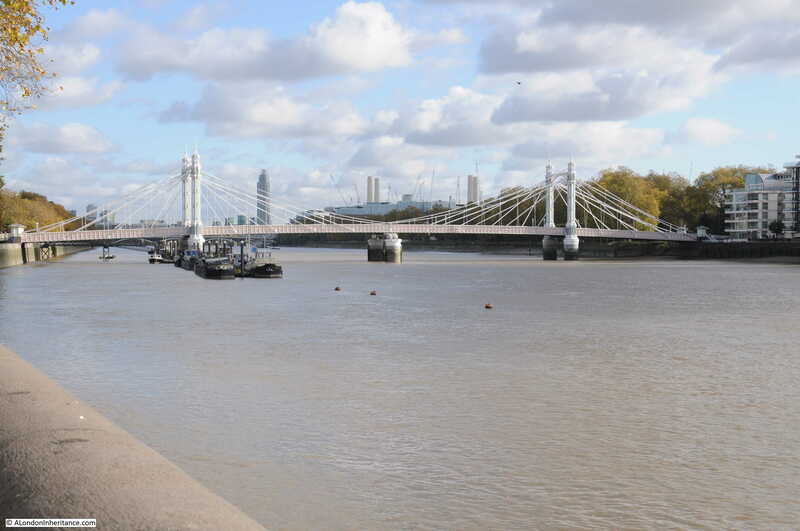 They stayed up there for a time watching the flares and then went down to the embankment. 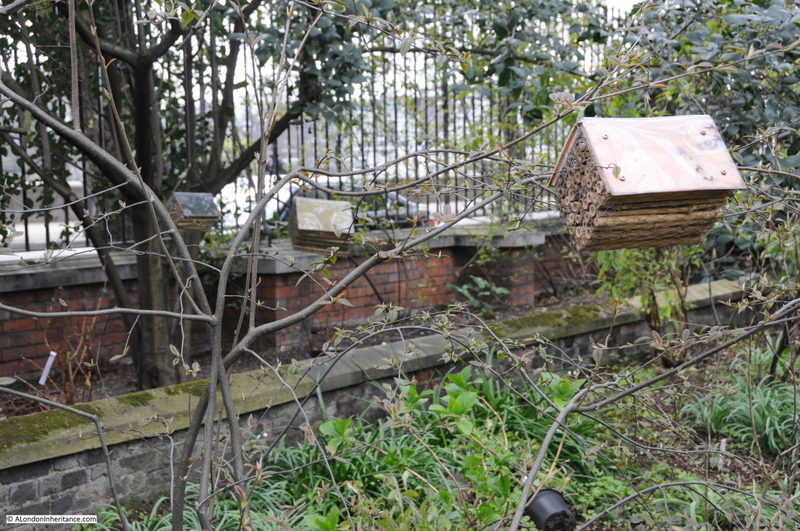 Later on they went back to the room on the first floor of Petyt House (just behind the church) for a cup of tea. After that they were in and out all the time. 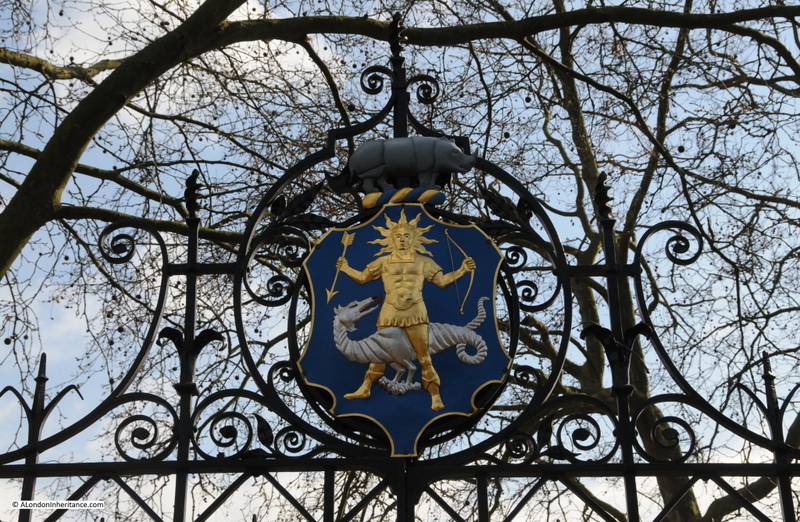 About one o’clock they went along Cheyne Walk towards Danvers Street and some of them were talking to one of the fire party on duty at the cafe on the corner there. The ack-ack fire had been very heavy and there was a lot of shell casing lying about. The tower and the majority of the church had been complete destroyed. Only the More Chapel at the far end of the church from the tower remained (as can be seen in my father’s photo). 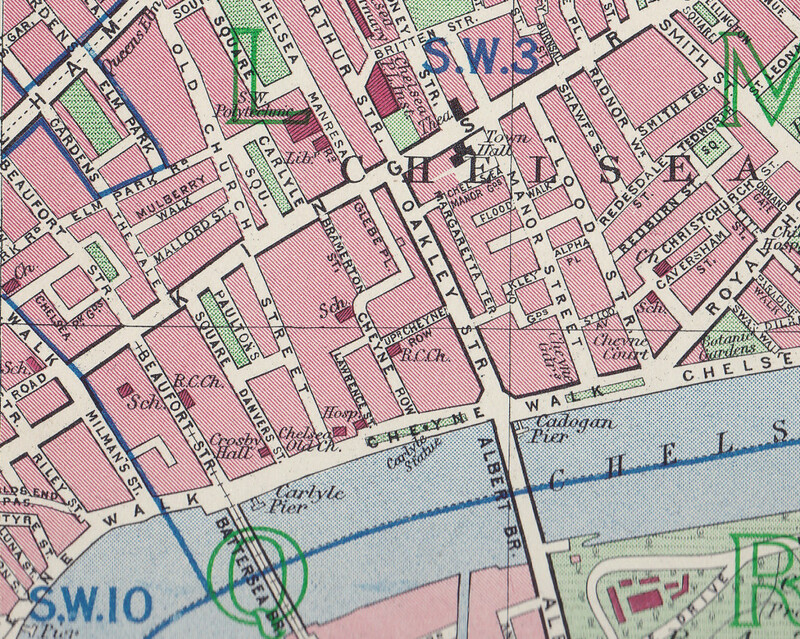 Map of the area in 1940 showing the church just above Carlyle Pier on the river with the street names, Old Church Street, Danvers Street, Lawrence Street, Cheyne Walk mentioned above. 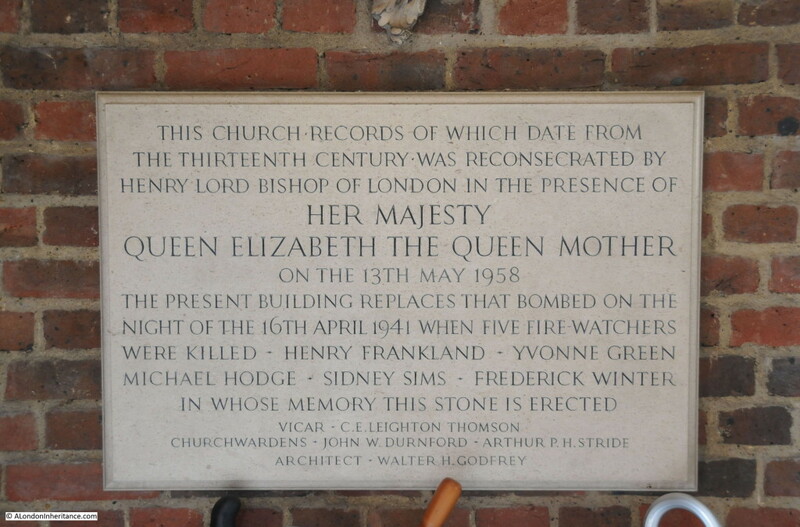 The following plaque in the entrance to the church records the names of the fire watchers who were killed when the church was bombed. The challenge for the church was getting approval and the funding needed to rebuild the church. 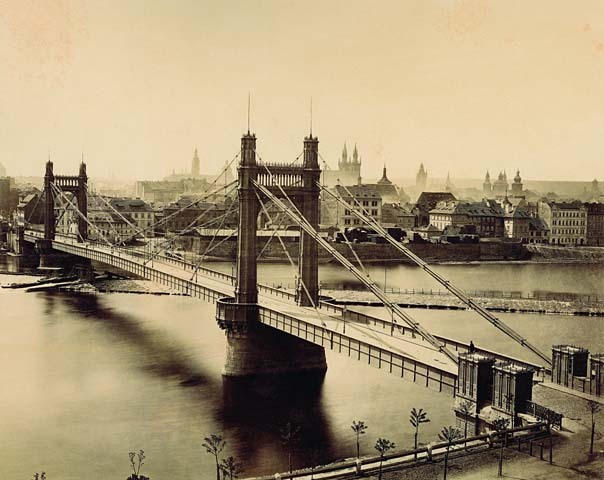 The amount of damage across London meant that both funding and the labor and materials needed were in short supply during, and in the years after the war. 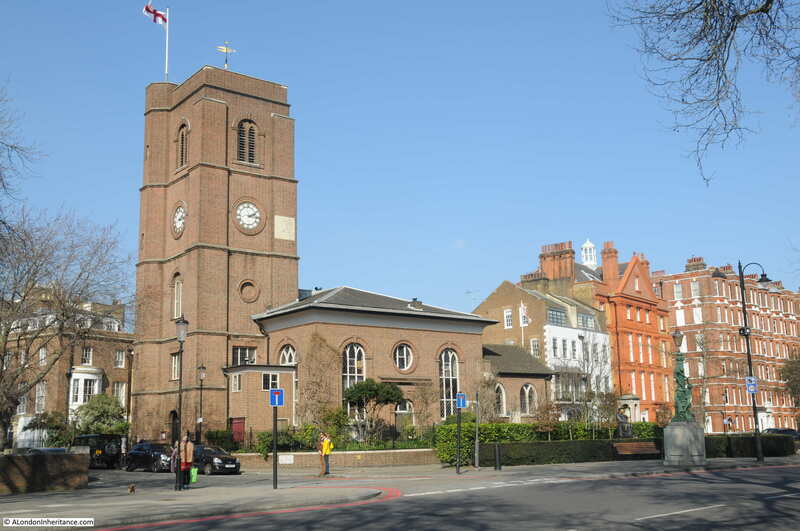 There was no automatic assumption that Chelsea Old Church would be rebuilt. 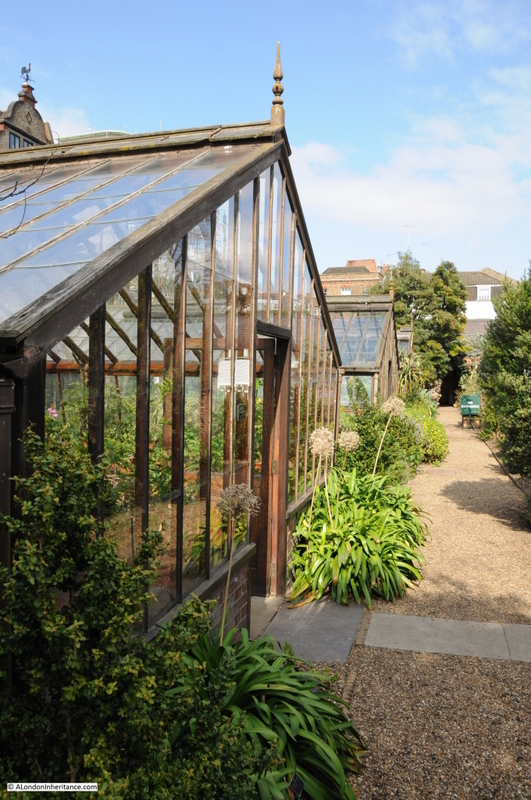 Approval for reconstruction and funding was subject to Diocesan authority and expenditure required the consent of the Diocesan fund. A Diocesan Reconstruction Measure of 1941 placed the church on a list of bombed churches that would not be rebuilt within five years from the end of the war and there was doubt whether the church would ever be rebuilt. In March 1945 proposals from the Diocesan Reorganization Committee recommended limited reconstruction of the church with just the More Chapel being retained to house the monuments recovered from the church. 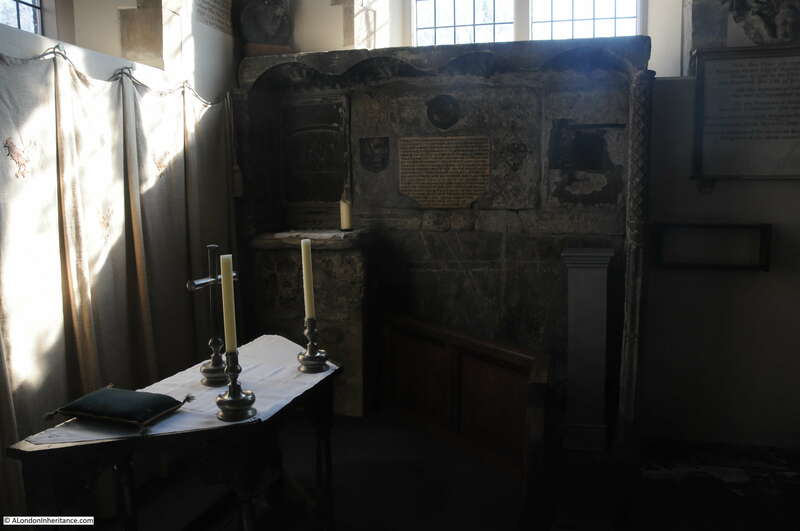 The concern was that the remains of the church would be little more than a museum for the recovered monuments. A hard-fought campaign was needed over the following years to convince the Diocesan Reorganisation Committee that the full church should be rebuilt with permission and funding to build to the same design as the destroyed church. Fund raising took place and approval was finally given with the More Chapel reopened for services in 1950 and the whole church reconsecrated in May 1958. 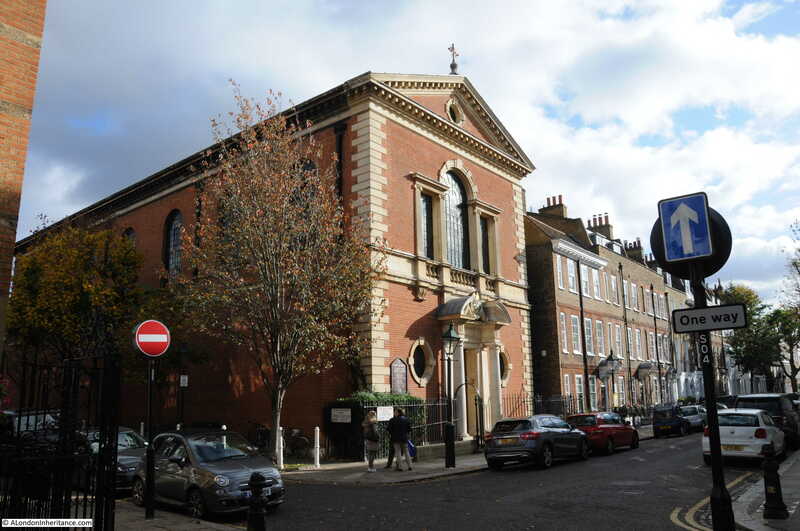 The history of Chelsea Old Church requires a dedicated post to do justice to the church, however the following is a brief walk round the church. 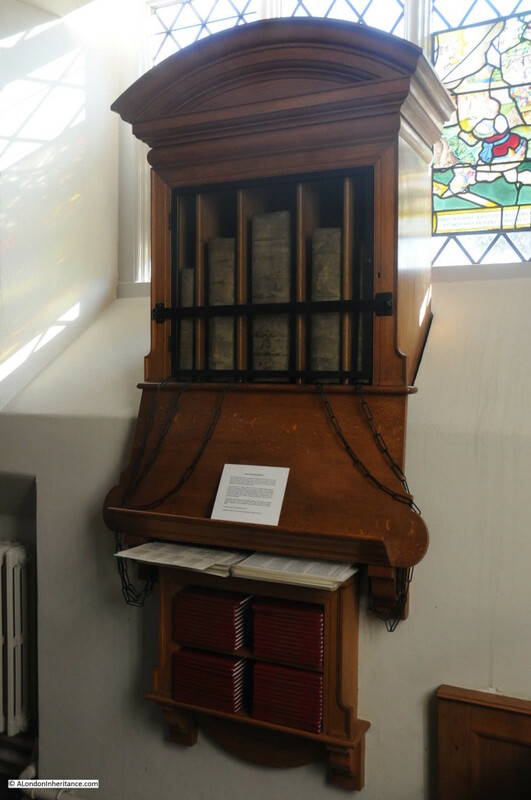 The church is the only one in London with any chained books. 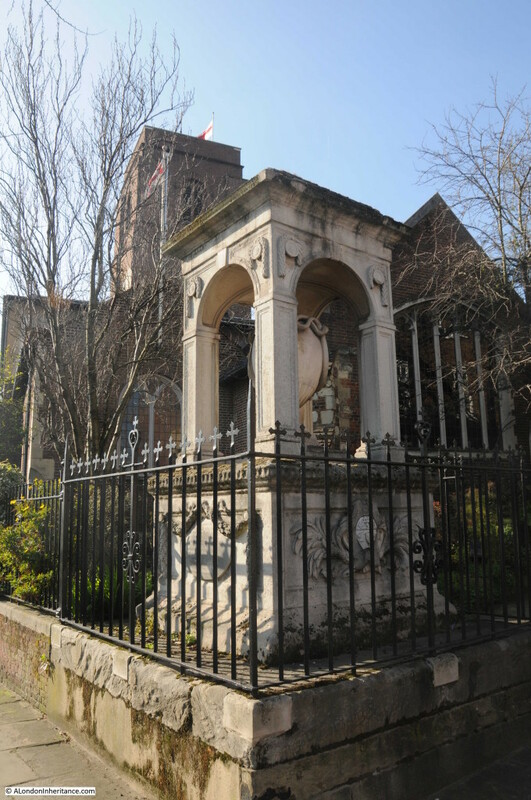 In a case within the church are five chained books, presented to the church by the Lord of the Manor, Sir Hans Sloane. The books consist of a Bible from 1717, first and third editions of Foxe’s Book of Martyrs from 1684, a 1723 book of Common Prayer and a 1683 volume of Homilies. 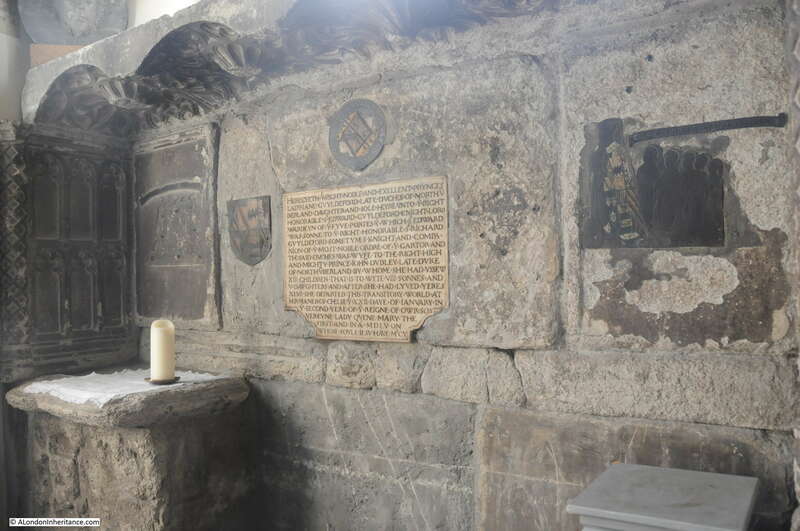 The remains of the tomb from 1555 of Lady Jane Guildford, Duchess of Northumberland. Standing in the church and thinking about even the recent history of the church, the words “this transitory world” are so very true for all those who have lived in, and traveled through London. 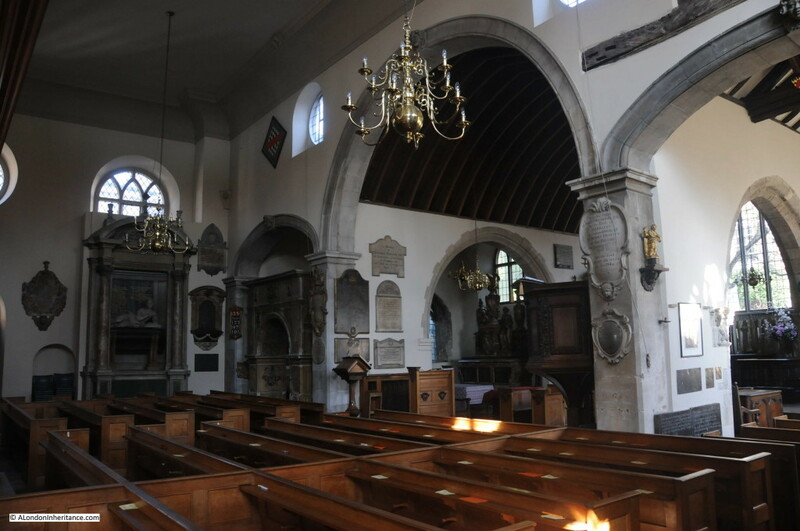 Although the bomb blast destroyed the majority of the church, the More Chapel was mainly intact and between the main body of the church and the More chapel, part of the original wooden construction of the church was exposed by the blast. 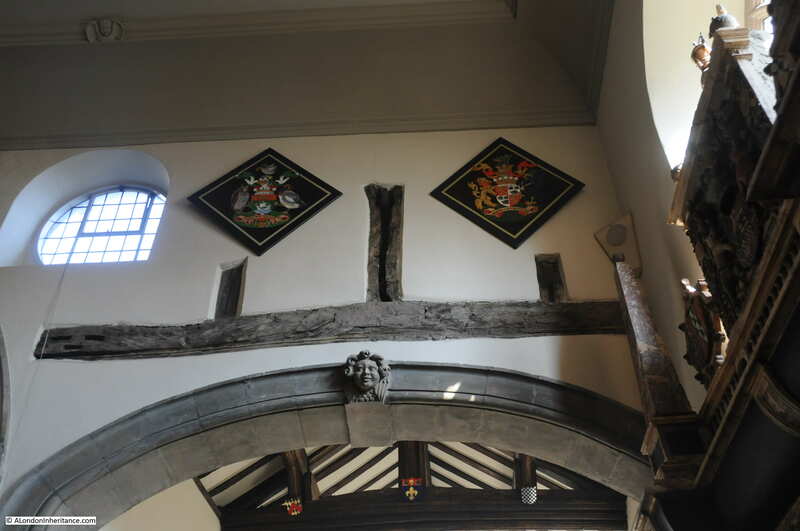 The wooden “King Post” from the pre-Tudor construction of the building was not plastered over during rebuilding and has been left exposed. 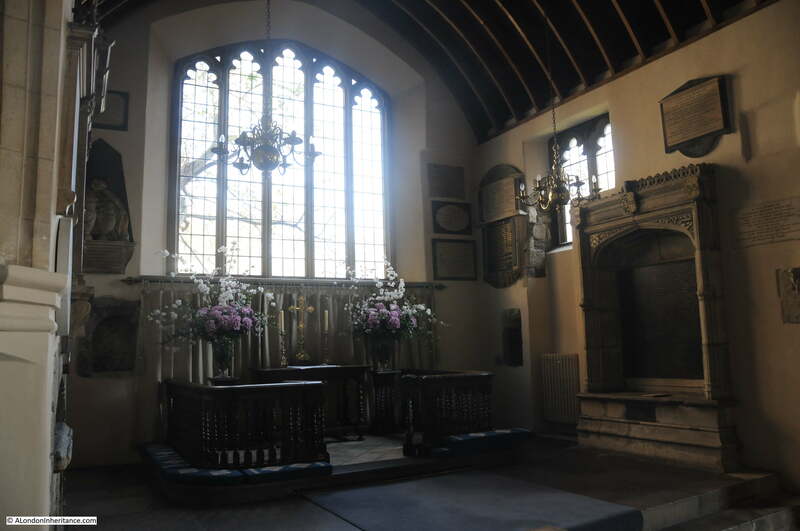 A view of the Sanctuary and on the right the memorial to Sir Thomas More. 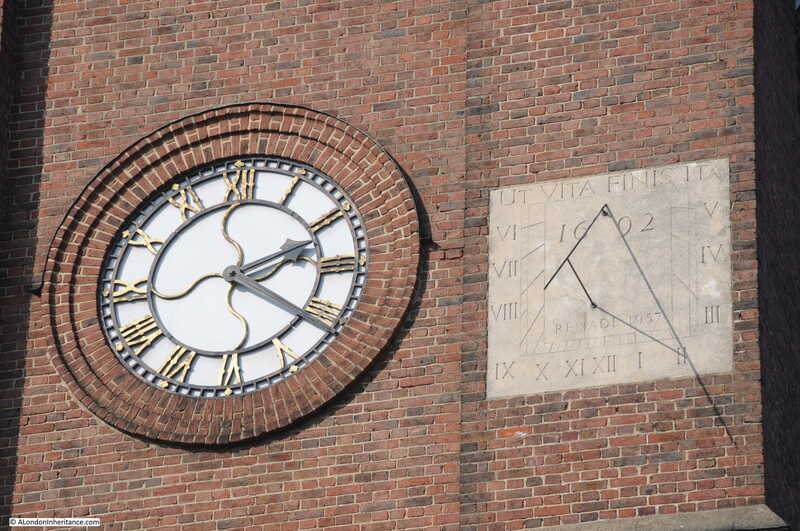 The sundial on the south-facing tower of the church, remade in 1957 and identical to the original (see the pre-war photo at the top of this post to see the original sundial in the same position). 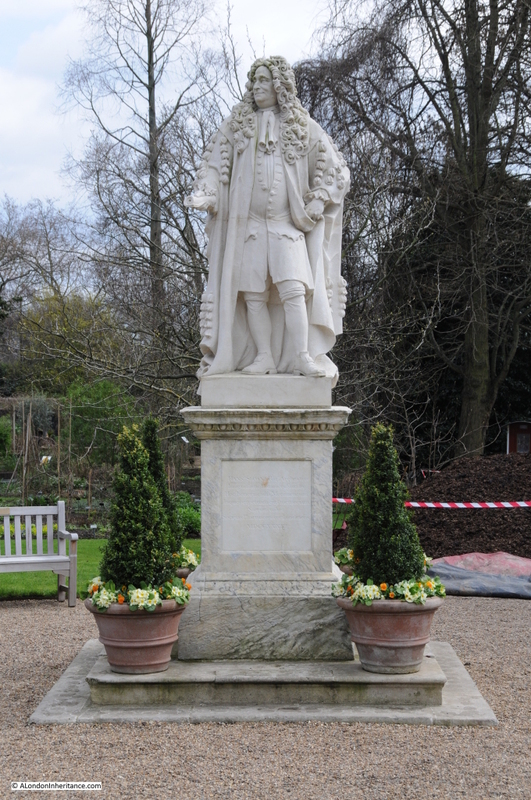 The 1969 statue of Sir Thomas Moor. 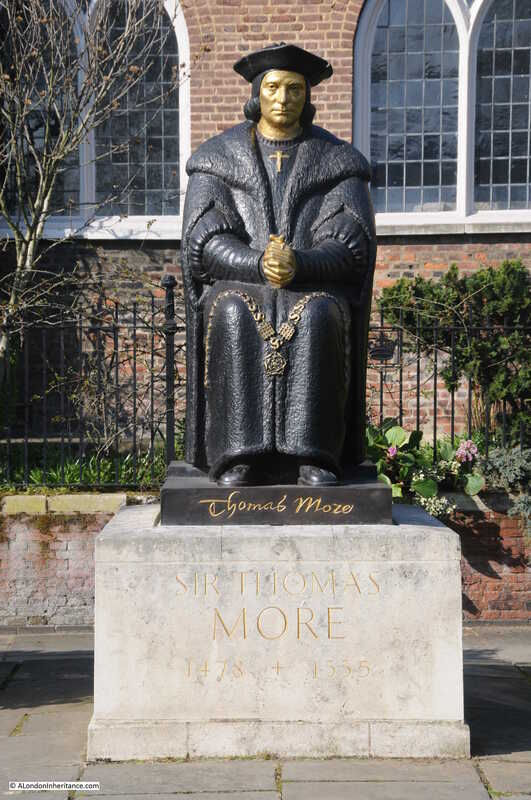 Sir Thomas More’s association with the church began when he settled in Chelsea, the owner of a large estate close to the church. 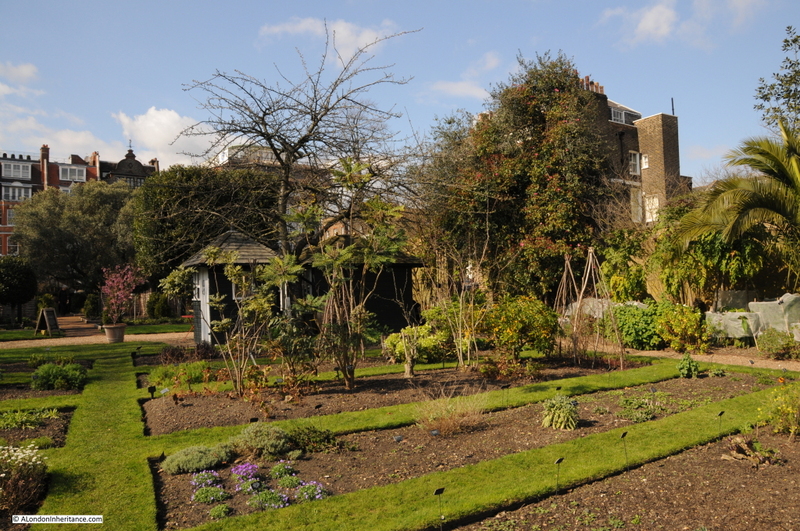 When he moved to Chelsea in 1520 he rebuilt one of the chapels and with his family, worshiped at the church when at his Chelsea residence. 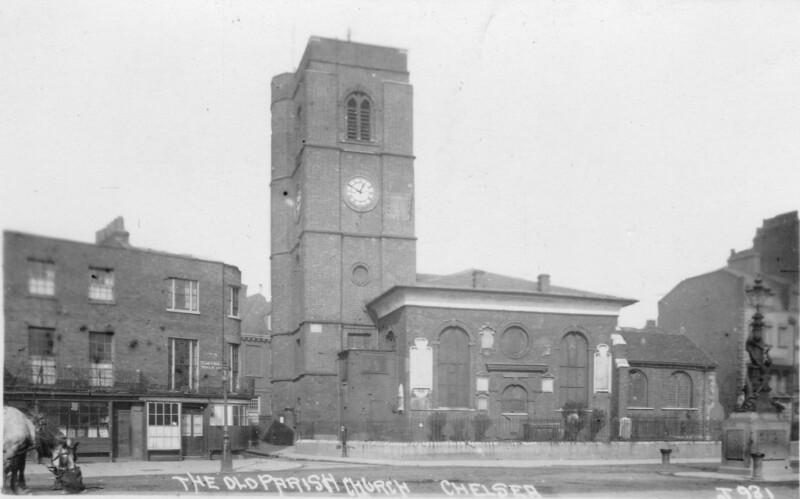 The fact that Old Chelsea Church is still here is a tribute to those who fought hard for the church to be re-built and to the same design as the pre-war church. It also reminds us of those who died trying to protect the area in which they lived and worked during the last war. To finish, the following photo is an enlargement of a small section in front of the church from my father’s photo. 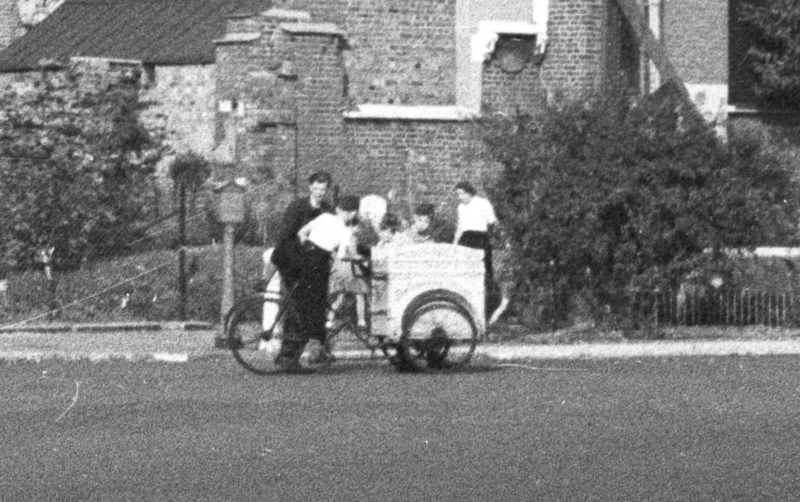 I suspect this is an ice cream vendor cycling round the streets of Chelsea – very different to the busy road in front of the church today. 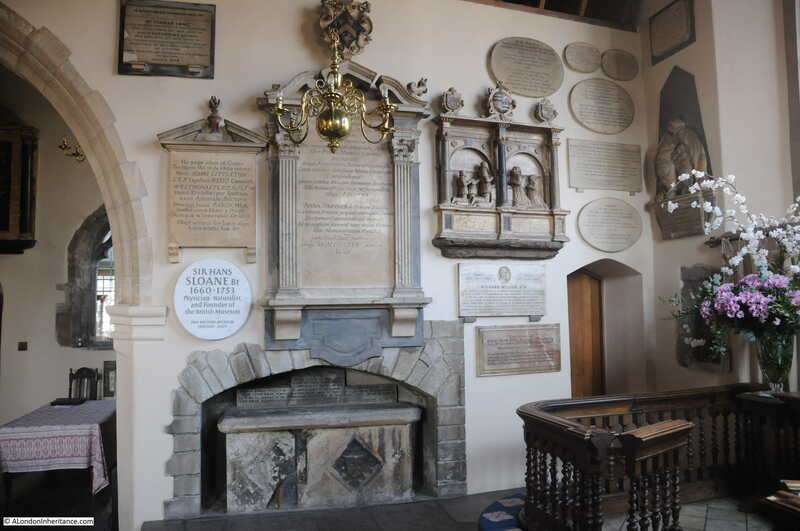 A church with a fascinating history and highly recommended for a visit, even if it is not a beautiful spring day in London. This entry was posted in London Churches, The Bombed City and tagged Chelsea, Chelsea Old Church on March 20, 2016 by admin.